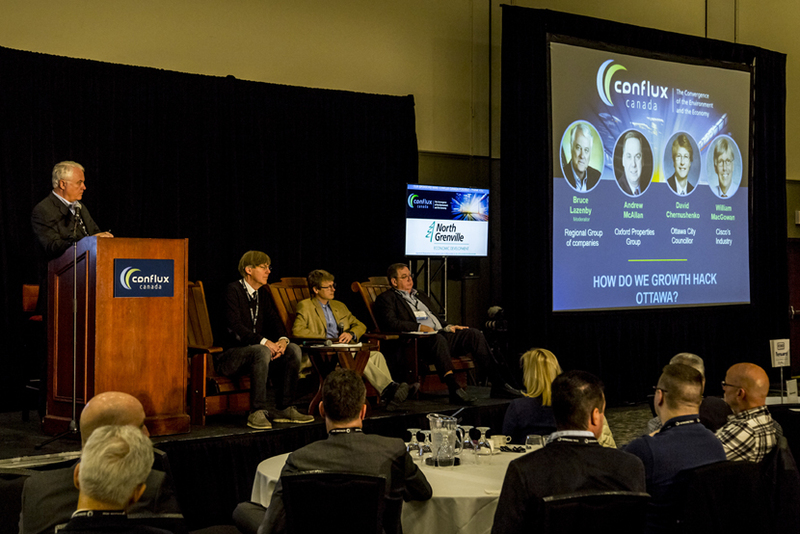 Conflux Canada is Ottawa’s largest gathering of sustainability professionals who recognize positive actions to address climate change as an opportunity for growth and prosperity. 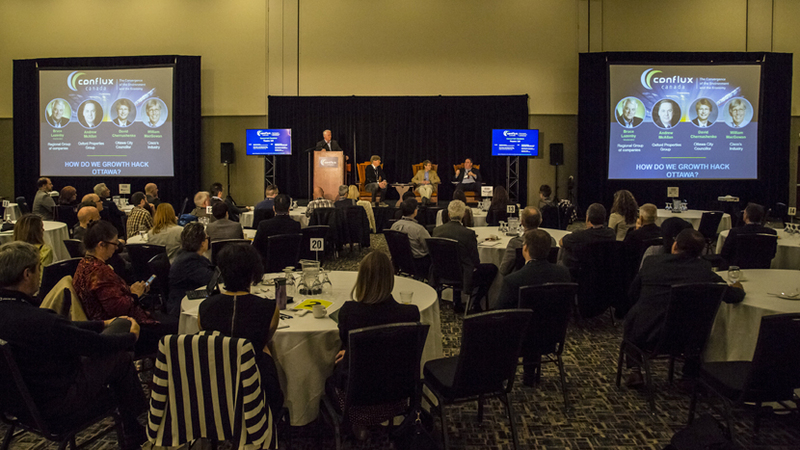 Join Executives, change makers and thought leaders in Ottawa for an exciting dialogue on the convergence of the environment and the economy. Be part of the change. 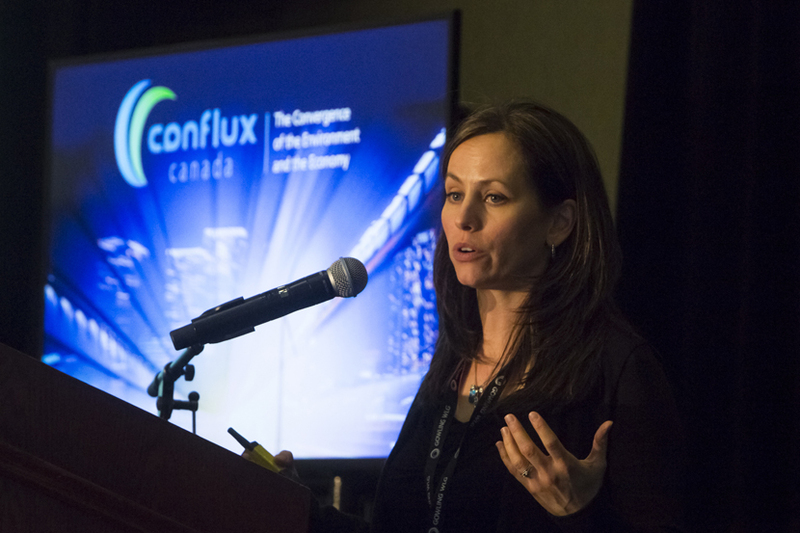 Conflux Canada is the meeting point of green buildings, clean technologies, and the influence of corporate social responsibility (CSR) to shape our cities, create efficiencies and cut our carbon footprint. This event promises collaboration and actionable dialogue to source opportunities that will impact our lives and future generations. May 10th, 2018. The Shaw Centre, 55 Colonel By Dr, Ottawa, ON K1N 9J2. Parliamentary Secretary to the President of the Treasury Board. Public Affairs Rockport Networks Inc. 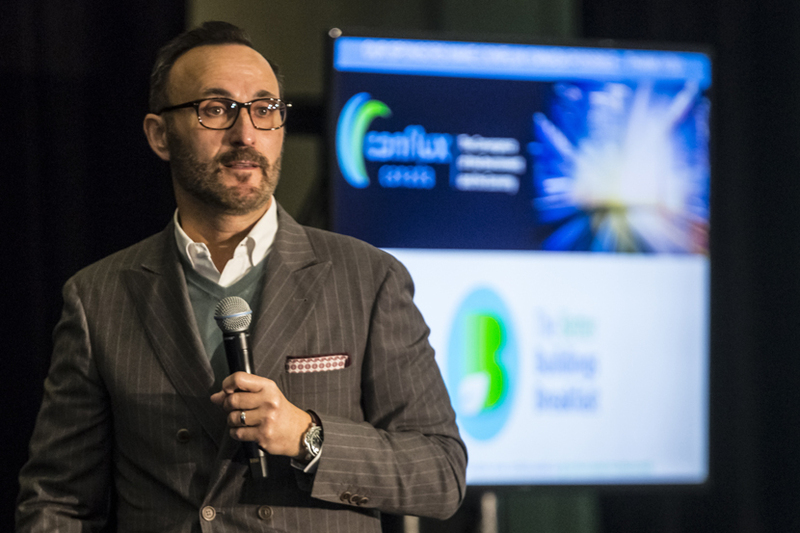 He is currently participating in a number of initiatives and groups including the WorldGBC Global CEO Network, the Advisory Board of CIRS (Centre for Interactive Research on Sustainability), and the Advisory Committee of Energy Efficiency in BC’s Built Environment Research Project at UBC. 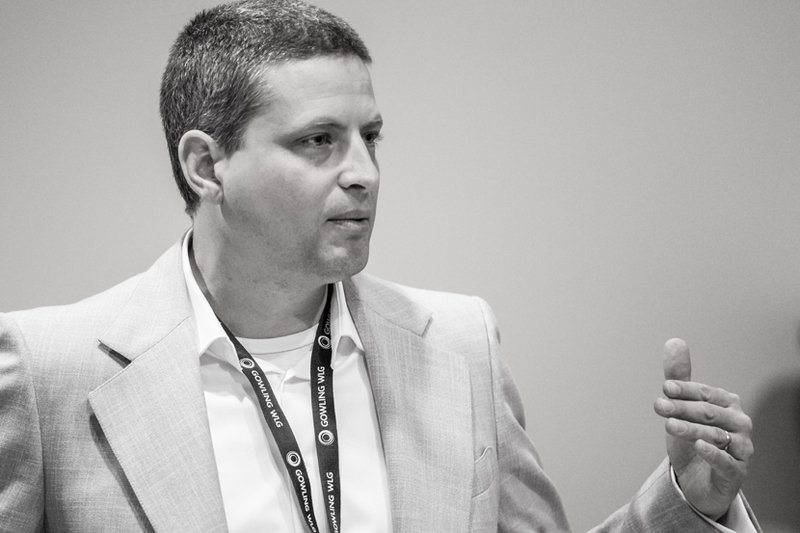 Dennis Fotinos is a performance driven thought leader with notable turnaround management achievements and leadership success in engaging and developing talent to drive strategy and profitable growth. He initiated and led the corporate reorganization that created Enwave Energy Corporation and then led the company to profitability and industry leadership. Notably, he oversaw the development of the Deep Lake Water Cooling system and established the commercial strategy that brought the company's capabilities to market. Unhappy with the pace at which renewable technologies were being integrated into our energy infrastructure, Mr. Fotinos decided to take action by founding Noventa Energy Partners in January 2018. Noventa is a developer, owner and operator of community scale, renewable energy projects that incorporate new technologies to reduce the greatest amount of carbon at the lowest possible cost. The company is a platform for renewable energy innovation with a mission to rid our airshed of carbon. Dennis Fotinos has served as an elected member of regional and local governments in the City of Toronto from 1991 to 1999 and as Board member and Chair of the International District Energy Association. He continues to chair the Enwave Energy Board and serves on the Boards of CreateTO and GreenOn. Mr. Fotinos has an MBA from the Kellogg School of Management and the Schulich School of Business and a Bachelor of Arts degree in International Relations from the University of Toronto. Benjamin L. Shinewald is the President and Chief Executive Officer of the Building Owners and Managers Association of Canada. Among other things, Benjamin’s responsibilities include BOMA BEST, Canada’s leading environmental assessment and certification program for commercial real estate. 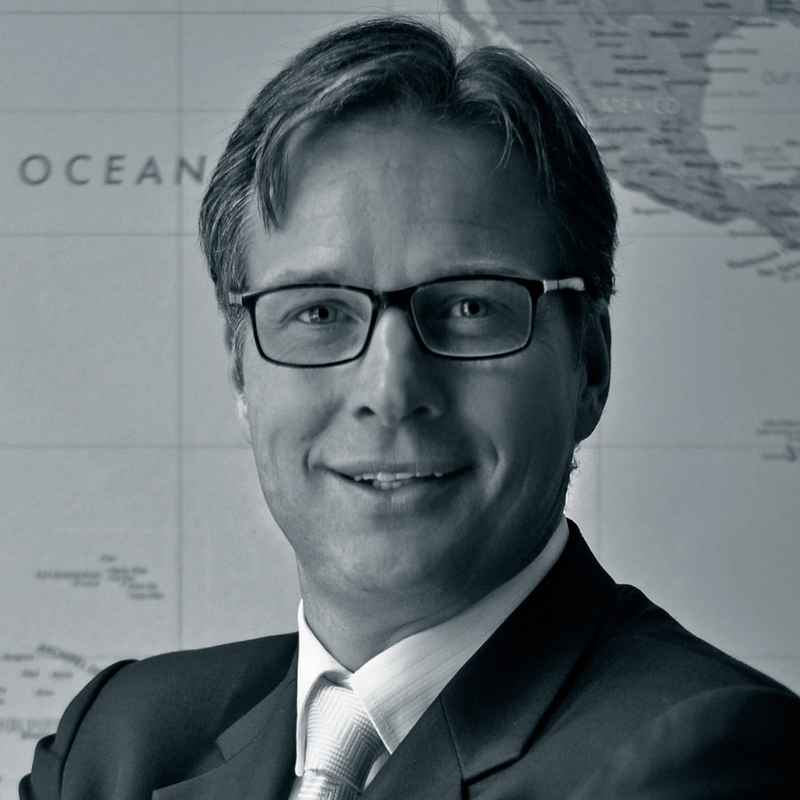 During his tenure, BOMA BEST has grown rapidly and is now expanding worldwide. 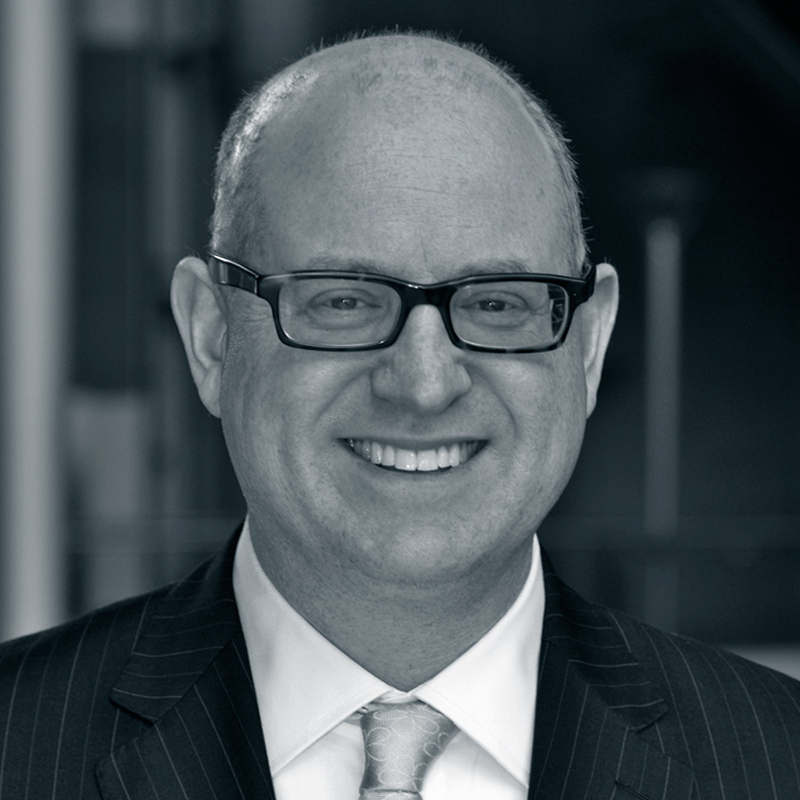 Prior to joining BOMA in 2012, Benjamin served as the National Executive Director and General Counsel for Canadian Jewish Congress, before being promoted to Chief Executive Officer. Earlier, Benjamin served in the Privy Council Office and practiced law at Torys LLP. He also served as a Law Clerk to the Chief Justice of Israel and worked for the Democratic Party of Hong Kong, the Canadian Mission to the OECD in Paris and the Winnipeg Jets Hockey Club. Benjamin was educated at the University of Toronto, the London School of Economics, the University of Manitoba and the Hebrew University of Jerusalem. Fluent in three languages, he has been published repeatedly in leading newspapers and has appeared as a panelist on Al Jazeera. Benjamin is active in the community, serving on the Board of Ve’ahavta and on the Ontario Cabinet of the Canadian Museum for Human Rights. He previously Co-Chaired Leadership Sinai at Toronto’s Sinai Health System/Mount Sinai Hospital. He lives with his wife and two daughters in Toronto. 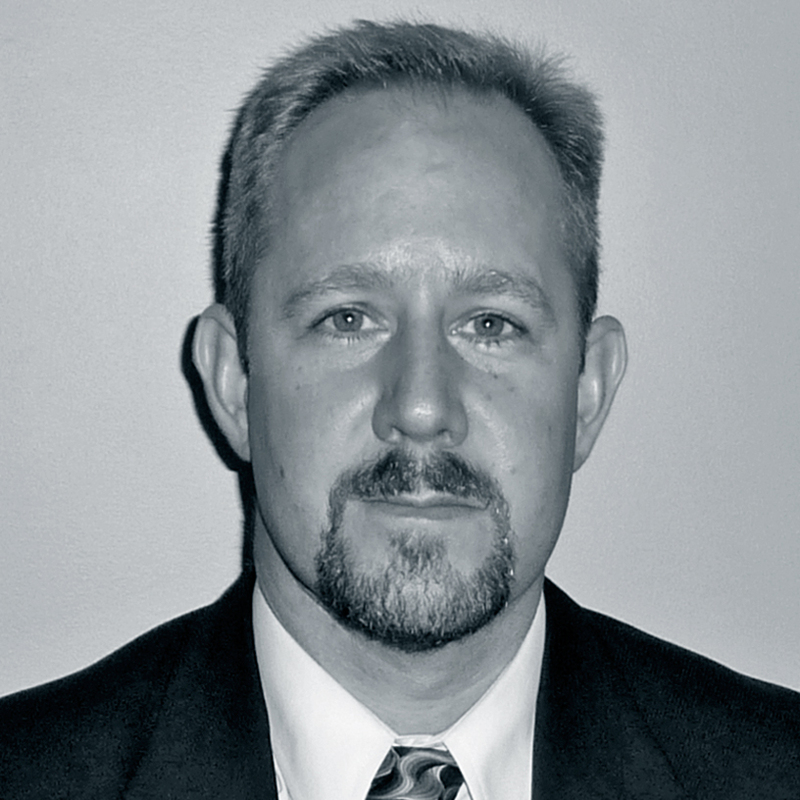 David has over 20 years of experience in the natural gas, power generation and alternative energy sectors. 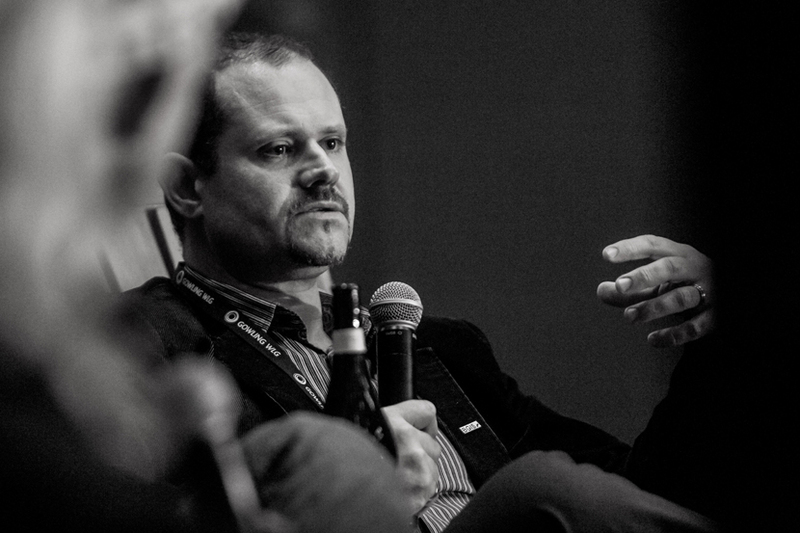 He is responsible for Enbridge’s business development in low-carbon energy solutions. This includes distributed generation, district energy, hydrogen, energy storage, renewable pipeline fuels and net-zero energy developments. 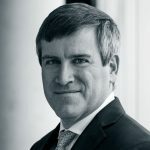 Prior to his current assignment, David held numerous positions within Enbridge including the company’s Alternative and Emerging Technology business, and Regional Manager for Enbridge Atlantic Energy Service - a New Brunswick based energy services provider. He has also managed Enbridge’s key-account sales division, which provides energy management solutions to commercial and industrial customers. 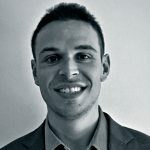 David graduated from Niagara College, mechanical engineering technology, and he is a graduate of the Institute of Gas Technology in Chicago, IL, as a Chartered Industrial Gas Consultant. 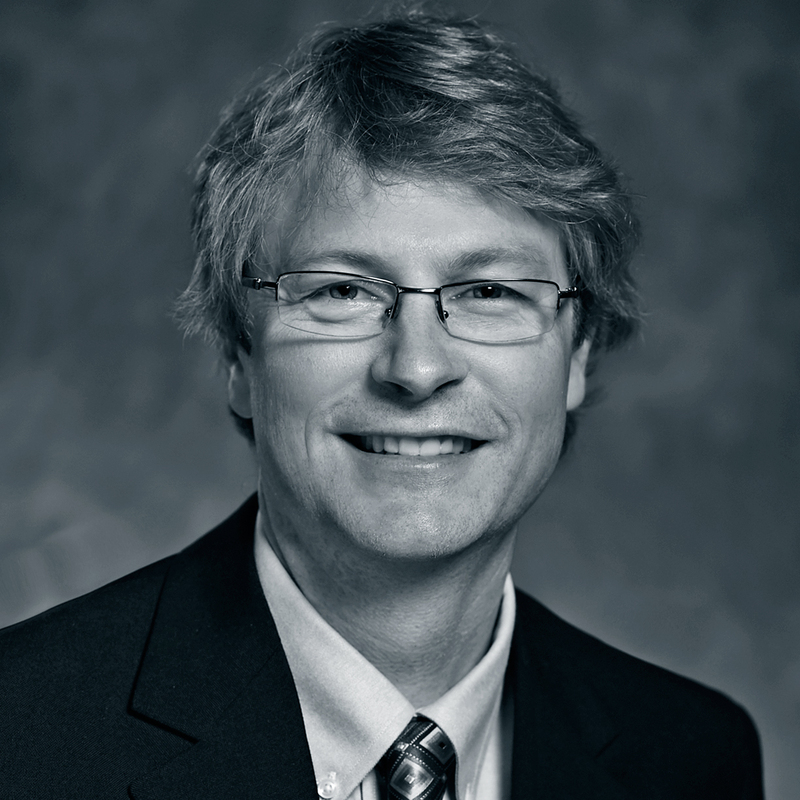 He serves as a Board of Director, for the Canadian Hydrogen and Fuel Cells Association. Sabrina El-Chibini, Founder & President of The Collaboration Vector Inc. (TCV), is the originator of Transformative Community Involvement TM, a unique and proven approach that is inspiring reflection about the way companies interact with their communities. Sabrina supports clients in transforming their community investment programs through engagement of internal and external stakeholders, alignment with the UN SDGs, and implementation of social and business impact plans and measures. Sabrina has extensive experience in the private, non-profit, and public sectors and has facilitated 13 private/non-profit partnerships in 10 countries that align with 5 of the 17 SDGs. Sabrina was nominated for the Royal Bank of Canada’s Canadian Women Entrepreneur Awards for last 3 consecutive years. 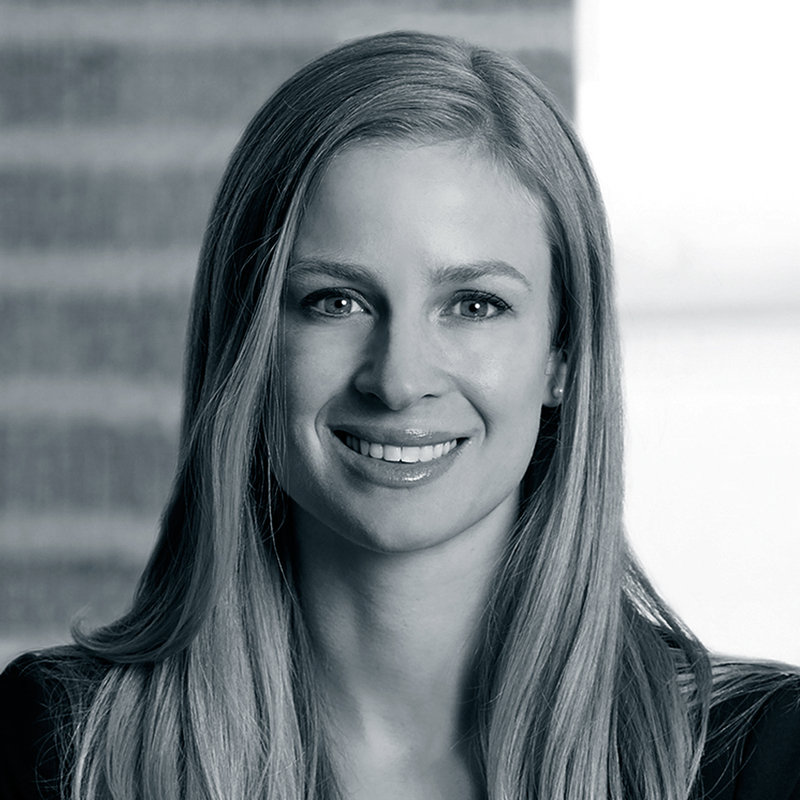 Anna Murray is Vice President, Sustainability at Bentall Kennedy. Anna is responsible for leading Bentall Kennedy’s Sustainability strategy across North America. She holds a Master of Business Administration and a law degree. Anna has spent her career advancing corporate sustainability around the globe at major multinational companies. 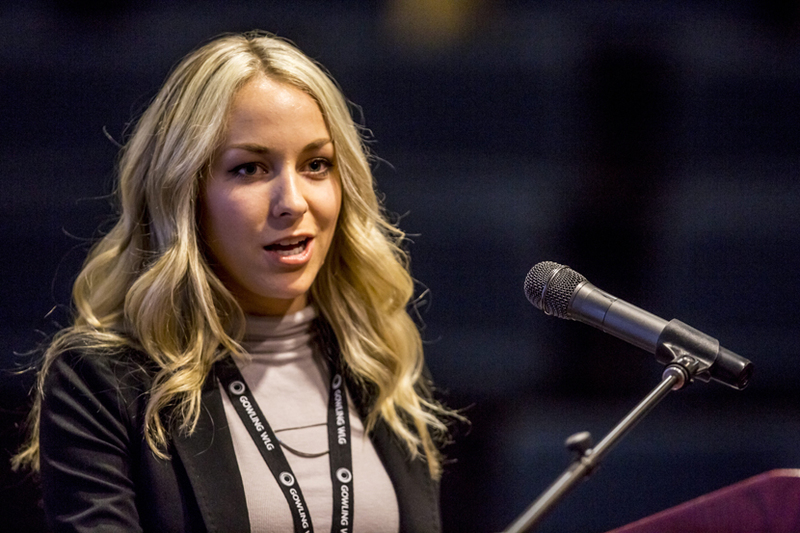 In 2012, Anna founded Young Women in Energy and was awarded Top 20 under 40, Top 100 Women in Canada and the Making a Difference for Women Award. 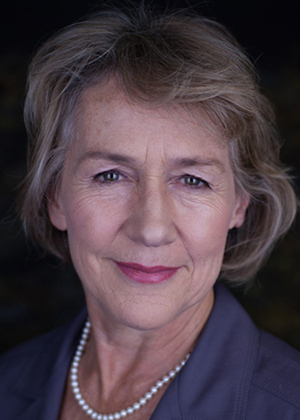 Anna was recently appointed to the United Nations Environment Programme Finance Initiative (UNEP FI) Investment Committee to Co-Chair the Property Working Group. She lives in Toronto with her 3 daughters and husband. 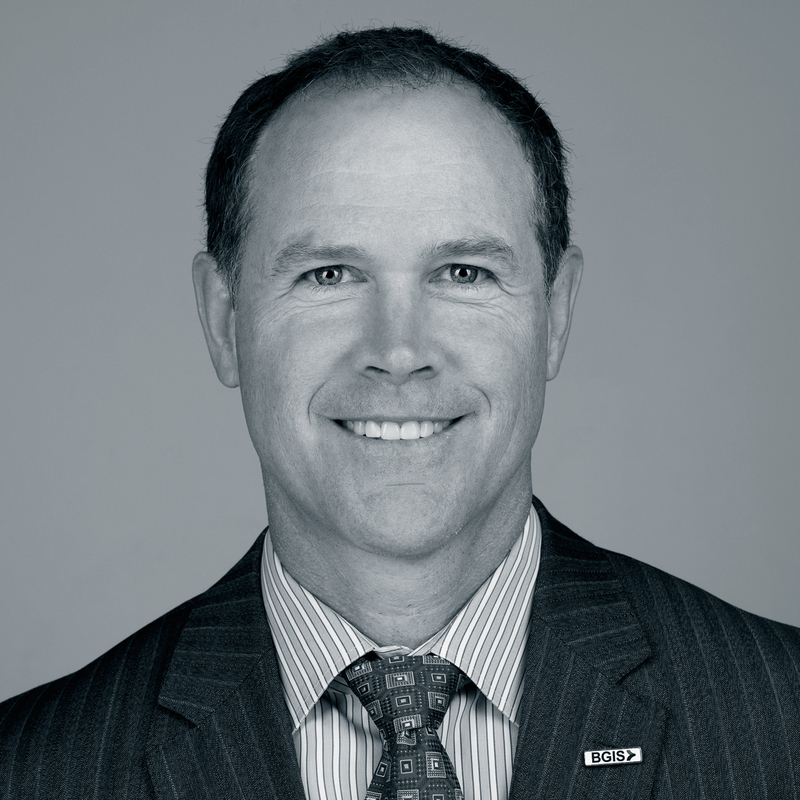 Gordon (Gord) Hicks is Chief Executive Officer at BGIS. 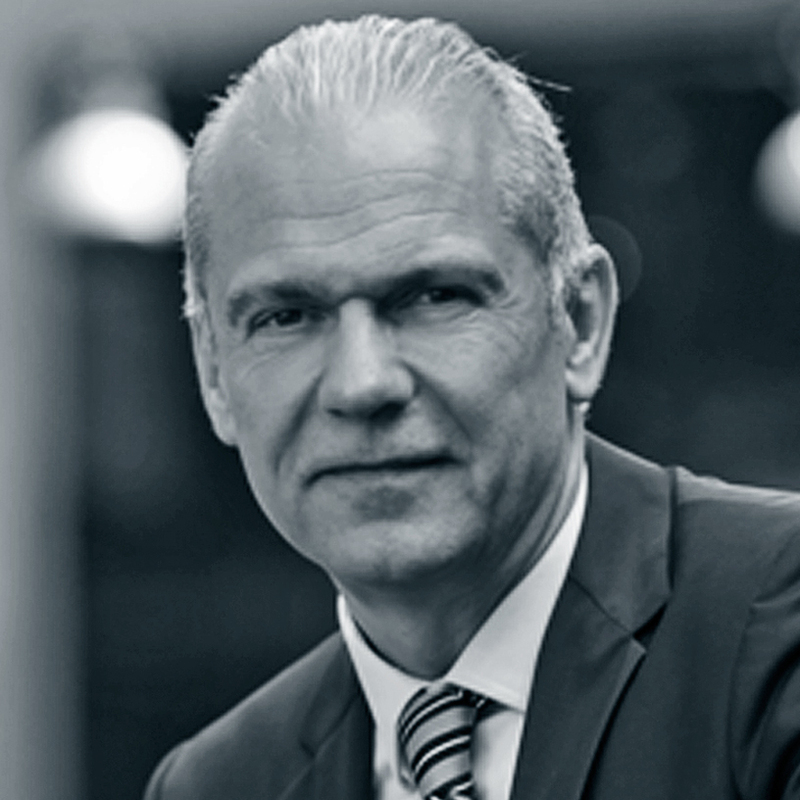 Prior to being appointed Chief Executive Officer, he has held numerous executive roles within the organization since 1997. Gord is a graduate Engineer of Carleton University and a member of the Professional Engineers of Ontario. As a LEED-Accredited Professional, and someone who cares deeply about the planet, he is dedicated to supporting and advocating for the highest environmental standards in the real estate industry. 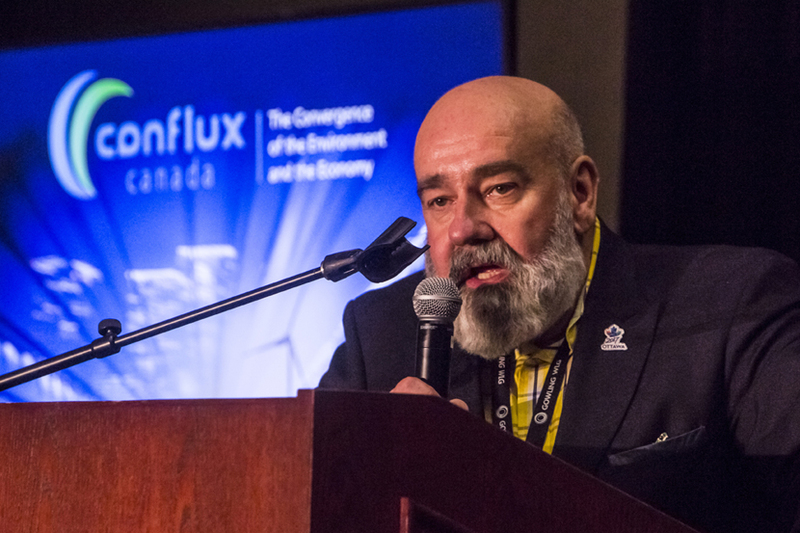 Gord has held a number of industry board positions over the years, including the International Facility Management Association (IFMA), Canada Green Building Council (CaGBC) and the Climate Reality Project. 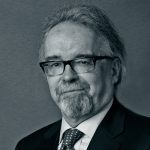 He is also actively involved in the Corporate Knights Executive Council for Clean Capitalism and has served on the board of the Canadian Breast Cancer Foundation Leaders for the Cure for five years, the last three which he co-chaired. 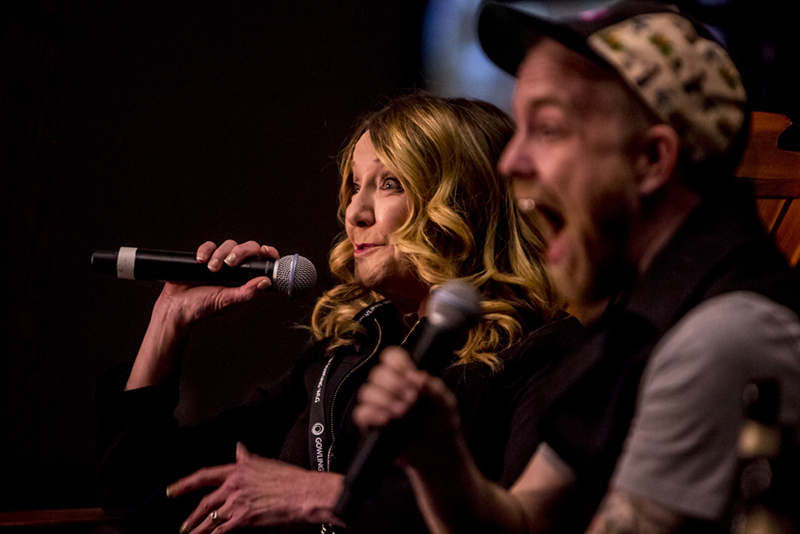 Gord is the co-founder and director on the board of the Cam's Kids Foundation, a not-for-profit corporation established in 2015, that supports youth struggling with anxiety. 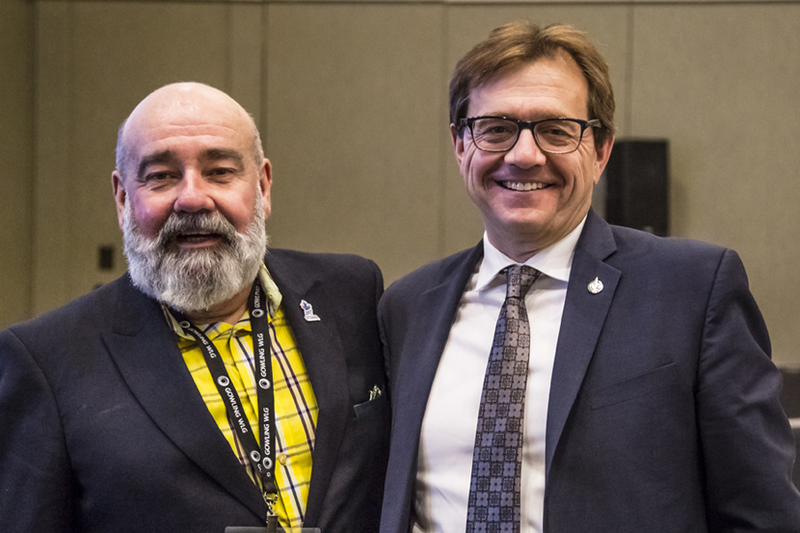 In 2016, in an effort to increase the adoption of clean building technologies and reduce GHG emissions from the built environment, Gord founded and became the first chair of the Building Energy Innovators Council (BEIC). This is a not-for-profit corporation established in the province of Ontario focused on accelerating the adoption of clean building technologies and supporting the transformation to a prosperous low-carbon economy across Canada. Mike is the founder of Sustainable Waterloo Region and the Executive Director of Green Economy Canada. 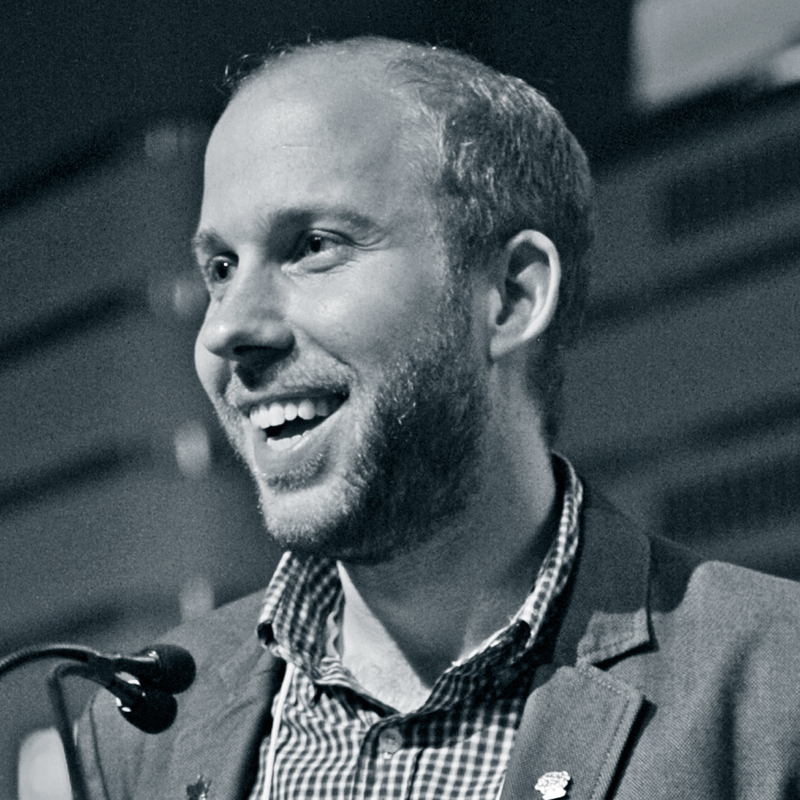 Named an Ashoka Fellow in 2012, Mike is one of 52 Canadians within a global community of leading social entrepreneurs, each with a new ‘knock-out’ idea and high potential to scale their impact. Mike is also a recipient of the Queen Elizabeth II Diamond Jubilee Medal, has been selected by The Waterloo Region Record as one of Waterloo Region’s inaugural 40 Under 40, and was recognized as Young Alumnus of the Year and Young Entrepreneur of the Year by WLU’s Alumni Association and the Greater Kitchener Waterloo Chamber of Commerce, respectively. He was also named to the 2017 Clean 16 last year. Mike is a graduate of Wilfrid Laurier University, where he concurrently completed a BBA and a BSc. As PwC Canada's Chief Corporate Responsibility Officer, James oversees a team that designs and implements social and environmental strategies that are scalable and aligned with PwC’s Purpose and strategic business priorities—helping to activate employee engagement, drive operational efficiencies, elevate stakeholder engagement and connectivity, and differentiate PwC’s brand in the marketplace. His portfolio oversight includes charitable contributions; volunteering; not-for-profit board governance; environmental stewardship; stakeholder relations; and annual CSR reporting. 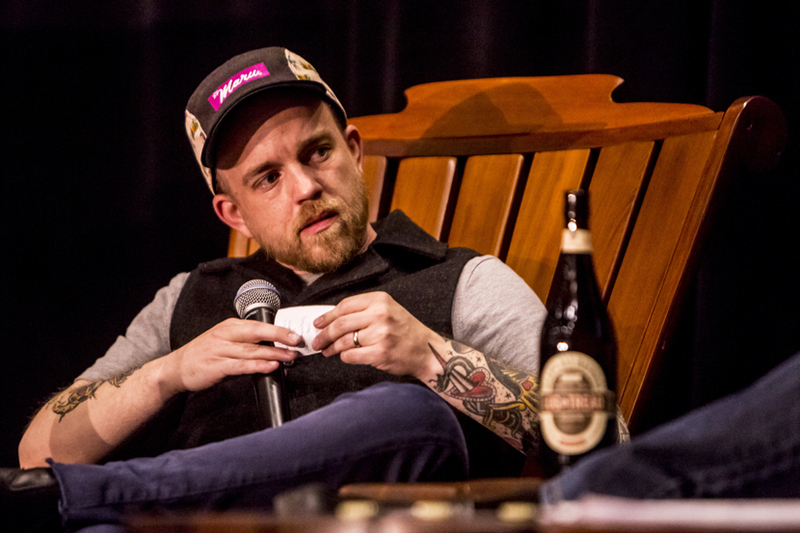 Considered one of the country's leading voices on corporate social innovation, James has shared insights at conferences around the world and has been featured in articles and videos for TED, the Globe and Mail, Strategy Magazine and Canadian Business. A committed volunteer, he currently sits on the not-for-profit committee of CPA Canada's Risk Oversight and Governance Board and has provided his expertise on fundraising committees for organizations including the World Wildlife Fund, Gardiner Museum and the Homes First Foundation. Combined, he has helped to raise over $1M for important social causes in the community over the past five years. Joel currently holds the title of President & CEO at Your Credit Union, a position he has held since 2013. He has been with Your Credit Union since 2009. His prior role was that of Executive Vice President. 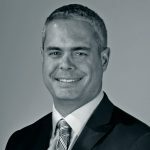 Previously, he held a number of management positions with caisses populaires in Ontario after his early work as an analyst with the Deposit Insurance Corporation of Ontario (DICO). Joel also sits as a Director of Central 1, the Ontario Credit Union Foundation and of the Credit Union Services Association (CUSA). He has both a Bachelor of Commerce and Masters of Business Administration from the University of Ottawa. Sidney helped found Équiterre in 1993 and chaired the Board of Directors until 1998. Since then, as executive director, he has been involved in all of our activities, from development, to implementation, to funding. While in charge of energy initiatives at consumer protection group Option consommateurs from 1992 to 1998, Sidney helped set up a national energy-efficiency program for people with low incomes. Sidney has a Law degree from University of Montreal and has been a member of the Quebec Bar in the past. 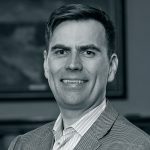 As Executive Director of QUEST - Quality Urban Energy Systems of Tomorrow, Brent leads the research, engagement, and advocacy activities for the development of Smart Energy Communities in Canada. Brent also oversees QUEST’s eight provincial and regional Caucuses and the Smart Energy Leaders’ Dialogue. 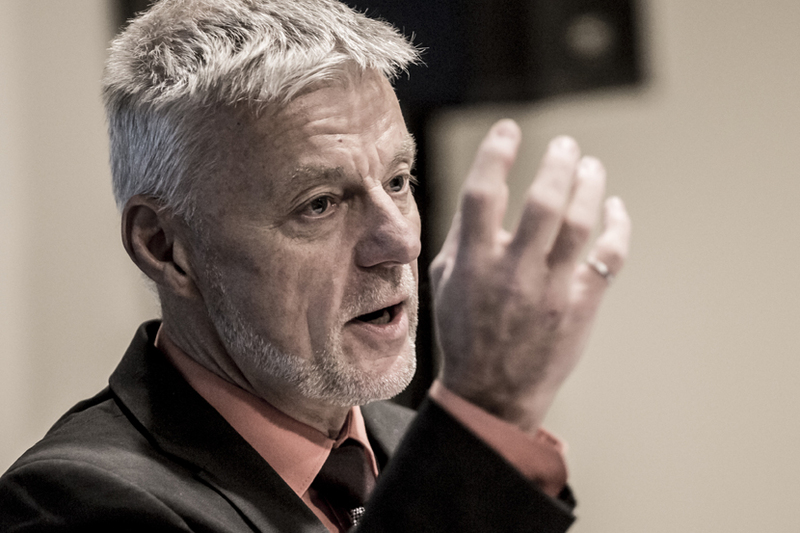 Brent was involved in the initial launch of QUEST in 2007 in his previous role with the Canadian Urban Institute's (CUI) in the capacity of Vice President, Urban Solutions. 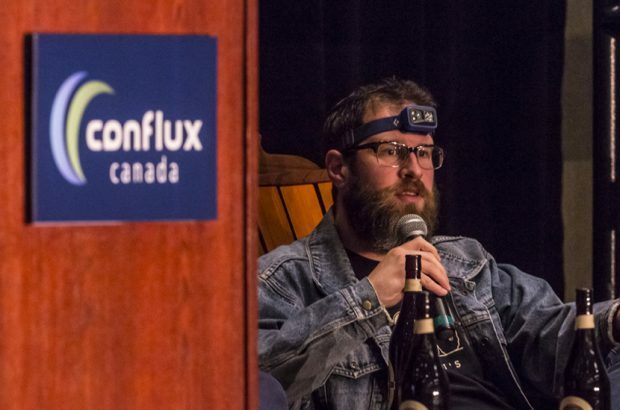 Prior to joining the CUI, Brent was the Strategic Coordinator responsible for the establishment of the University of Toronto's Sustainability Office (USO) and was an independent research consultant specializing in community energy innovation. Brent is a registered professional planner with 14+ years of experience in community energy, transportation, and land use planning; downtown revitalization; community consultation & engagement; and, public infrastructure investment. Along with his work at QUEST, Brent has remained active in the industry and with the local community. Brent is an occasional instructor with York University, Osgoode Hall Law School and has served on several boards, including EcoSpark (formerly Citizens’ Environment Watch) where he is past chair and was the chair of Recent Graduates for Trinity College at the University of Toronto. 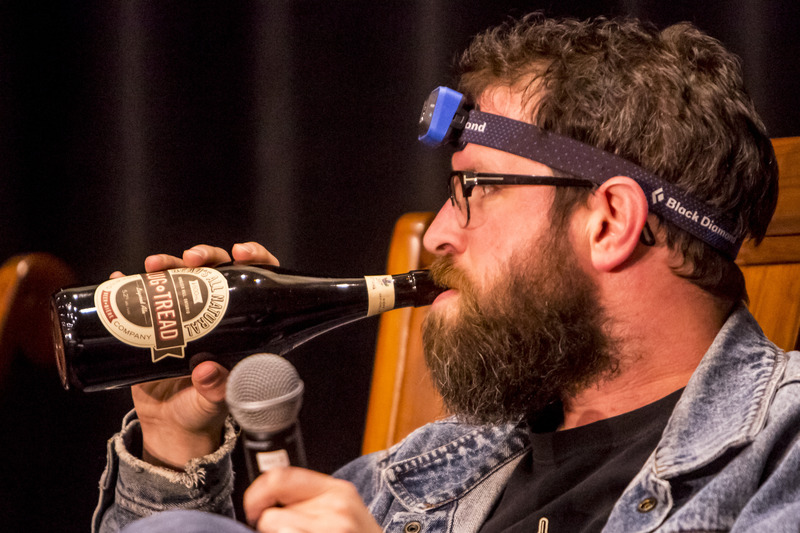 Brent holds a Masters of Science in Planning from the University of Toronto, a Bachelor of Arts (Honours) from the University of Toronto and is an alumnus of Massey College. David Chernushenko has been a City Councillor in Ottawa since 2010. He chairs the Environment and Climate Protection Committee. Born in 1963 in Calgary, he has called Ottawa home for most of his life. David holds a B.A. in Political Studies from Queen’s University and a Master’s in International Relations from Cambridge University. He is a green building professional accredited by the LEED certification program. Prior to being elected, David worked as a consultant, educator, writer and filmmaker with a passion for sustainable and healthy living. His most recent films focus on sound urban planning, renewable energy, and urban cycling as part of building vibrant, happier cities. 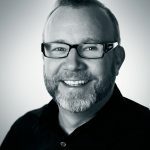 Rob Hyams has more than 25 years’ experience in marketing, with more than 20 years of that time focused specifically on B2B, developing and overseeing the execution of go-to-market and brand strategies for global clients. He advocates that the B2B buying process is frequently misunderstood, resulting in marketing that’s predictable and uninspired. In fact, the B2B space includes influencers, stakeholders, and others with something in common: they are human, just like the rest of us, and driven as much by emotion as any consumer. Once you figure that out, he insists, opportunities to be truly creative emerge, and great work—work that’s compelling, memorable, and effective—can follow. 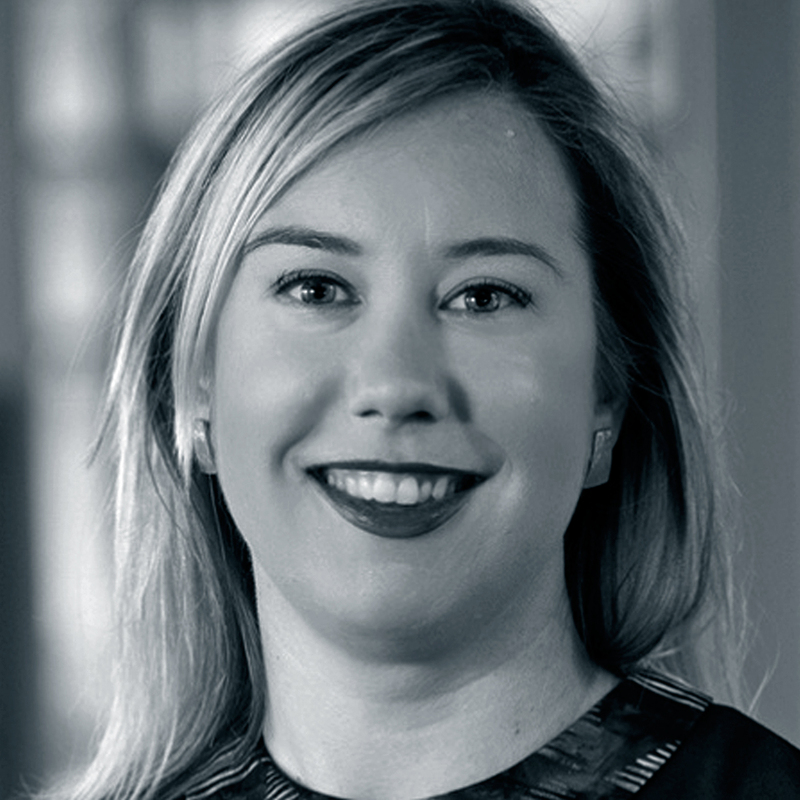 Blair Patacairk moved into the position of Vice President, Global Expansion in November of 2014. Prior to taking on this role, Blair was the President and CEO of Telecom Gateway Services Inc., a full service international business development consulting firm and government specialist. He was engaged as a special advisor to multiple companies, government and economic development agencies in the areas of foreign direct investment, trade and government relations. 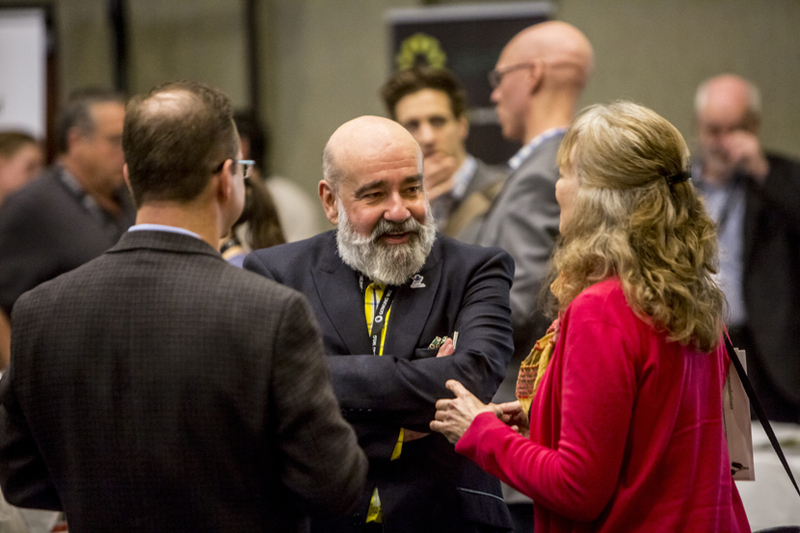 In particular for Invest Ottawa, he was responsible for the attraction of investment, companies and people to the Ottawa region, the management of Ottawa’s local and global partnerships and the international spokesperson on marketing Ottawa to the world. Blair has over twenty years of experience in the public and private sectors, including working directly with the former Mayor of the City of Ottawa, Bob Chiarelli. He brings a wealth of knowledge on strategic partnerships and growing both SMEs and Fortune 500 companies. 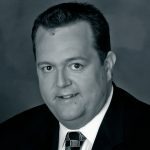 His previous experience includes roles at: Vayyoo Inc., a mobile solutions tech startup where he was Vice-President Business Development; Dell Inc. where he was the Director of Communications, Public Affairs and Business Development; and OCRI where he served as the Director of Investment, Marketing, Media and Government Relations, and used his extensive network of business and media contacts to promote Ottawa-based technologies companies around the world. A recipient of Ottawa’s Top 40 Under 40 award in 2008, Blair has volunteered his time with numerous organizations and currently: sits on the board of the Intelligent Community Forum (ICF); and is the President of the Consider Canada City Alliance. He also shares his experience as a business and marketing/communications mentor to students at local universities, colleges and high schools. He also is a member of the board of the Ontario School Boards’ Insurance Exchange, which provides liability and property insurance services to a majority of school districts in the province, and serves a s a Trustee of the OSSTF Employee Life and Health Trust, which is responsible for managing benefits for over 45,000 school board employees across the province of Ontario. 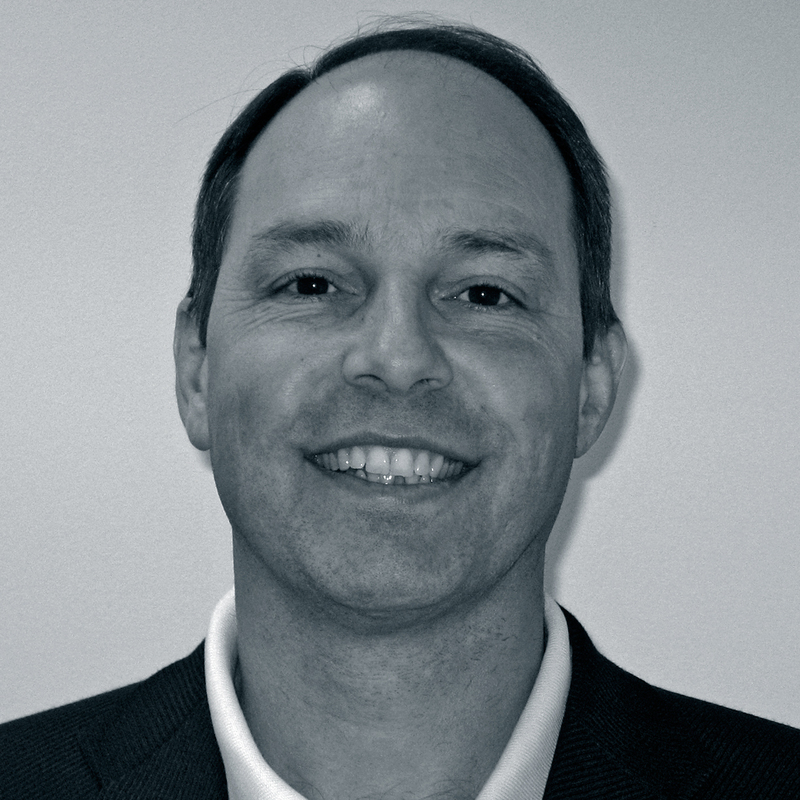 Jeffrey (Jeff) Moe is the Global Director of Energy Policy & Product Advocacy for Ingersoll Rand. 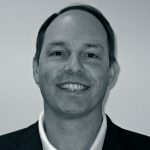 Jeff directs the company's energy leadership and develops market segment advocacy strategies related to energy efficiency and sustainability-related developments. His extensive experience in product management enhances business partnership to identify energy leadership prospects for strategic growth and sustainable outcomes for customers. Prior to this role, Jeff was the product business leader for Applied and then Unitary Equipment in North America for Trane, a business of Ingersoll Rand. This included P&L responsibility for Trane’s applied and then unitary equipment segment including product life cycle management. Prior to that he led product management and marketing for Trane Europe, Middle East, and Africa. He has an extensive background in global policy and advocacy including service on the boards of the Alliance for Responsible Atmospheric Policy, the Business Council for Sustainable Energy, and the Green Building Initiative. In addition, he has been actively involved as a business advisor at the Montreal Protocol and United Nations Framework Convention on Climate Change. Jeff holds a Bachelor of Science degree in mechanical engineering from Iowa State University. Marie Lyne Tremblay is Deputy Director of the Buildings and Industry Division of the Office of Energy Efficiency, at Natural Resources Canada. The mission of her life for the past 17 years is energy efficiency in the building sector, managing financial incentive programs, program development, impact measurement, as well as managing building energy consumption surveys. Currently, Ms Tremblay is managing a support program geared at federal facilities, to help the federal government meet its greenhouse gas reduction target from its own operations, of 40% by 2030 and 80% by 2050. She is also leading the implementation of an energy use survey in the multi-unit residential building, and is planning the Survey of Commercial and Institutional Energy Use 2019. Before working in the building sector, Ms. Tremblay worked in international S&T policy, social development and geology. Ryan Citron is a senior research analyst at Navigant Research - a market research and consulting team that provides in-depth analysis of global clean technology markets. Citron's primary focus is on emerging markets for urban mobility and smart cities technologies, analyzing topics such as smart street lighting, smart parking, and intelligent transportation systems. He holds a BA in law and human rights from Carleton University, a MASc (Master of Applied Science) in environmental policy and management from the University of Denver, and a MLS (Master of Legal Studies) in environmental and natural resources law and policy from the University of Denver, Sturm College of Law. 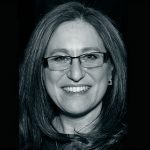 Cara Clairman is President and CEO of Plug’n Drive, a non-profit that is accelerating the deployment of electric vehicles (EVs) to maximize their environmental and economic benefits. In just over six years, Cara has taken Plug’n Drive from an idea to a thriving non-profit, recognized as a leader in the EV space. Cara has more than 20 years of experience working in the environmental and sustainability fields, including 12 years working at Ontario Power Generation, initially as OPG’s environmental lawyer and later in the role Vice President of Sustainable Development. 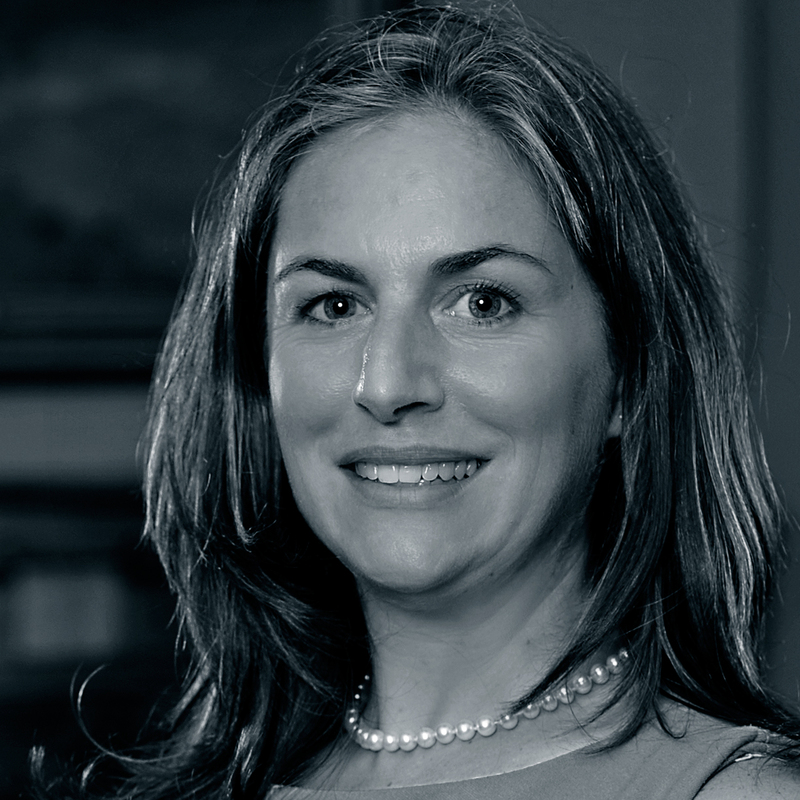 Prior to joining OPG, Cara spent five years practicing environmental law with the Torys law firm. She holds a Bachelor of Laws from Osgoode Hall and a Masters in Environmental Studies from York University, as well as an Honours Bachelor of Science degree from Queen’s University. Cara is the 2017 recipient of the Women in Renewable Energy’s ‘Woman of the Year’ award. She is currently @CaraClairman driving the 100% electric Chevy Bolt! 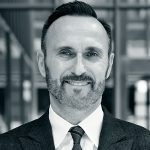 Michael S. Mulvey (Ph.D. Penn State) is a professor of marketing at the University of Ottawa’s Telfer School of Management where he teaches Consumer Behaviour in the undergraduate program and Strategic Marketing Management in the Executive MBA program. 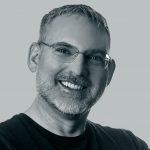 Michael consults with companies and law firms, is an active keynote speaker and is a go-to media expert on the topics of branding, consumer trends and marketing strategy. He has provided expert testimony in judicial proceedings to clarify issues on trademarks, advertising, and retail strategy. Michael's academic research interests include perceived value, the meanings of money, customer journey mapping, cross-border shopping practices, advertising interpretation and testing, visual rhetoric, and advice-giving and advice-taking in online forums. 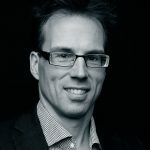 He is an expert in using qualitative research methods to uncover how customers think, especially the impact that meanings have on decision-making. Michael has published on these topics in academic journals including Advances in Consumer Research, International Journal of Research in Marketing, Journal of Brand Management, Journal of Economic and Public Policy, Journal of Leisure Research, Journal of Public Policy and Marketing, Journal of Retailing, and Qualitative Market Research: An International Journal. His current research focuses on developing age-friendly business practices in the retail and travel sectors. 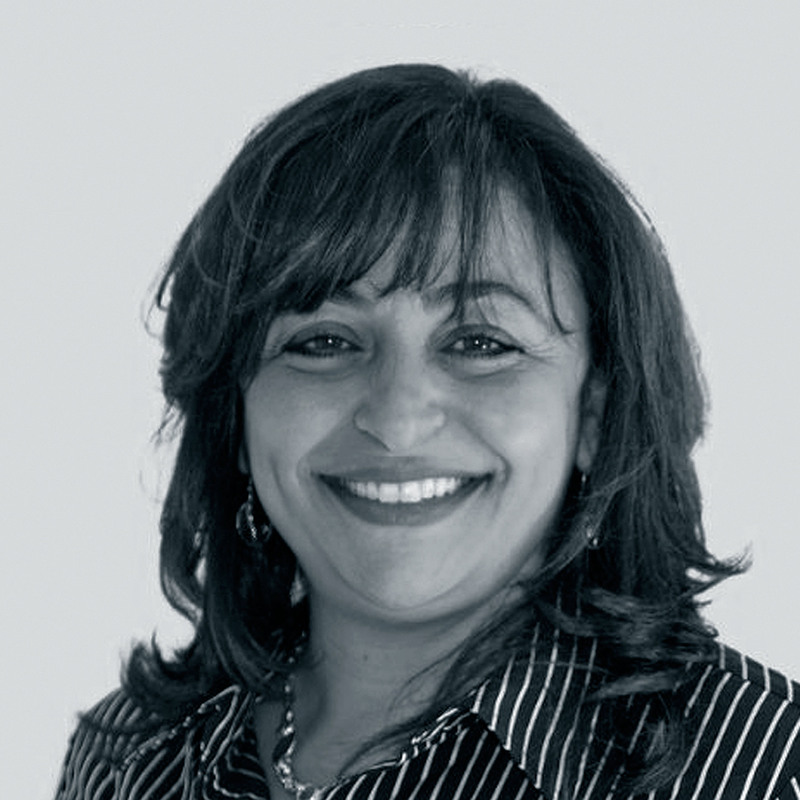 Tonja is the Managing Director, Operations & Services for QUEST. 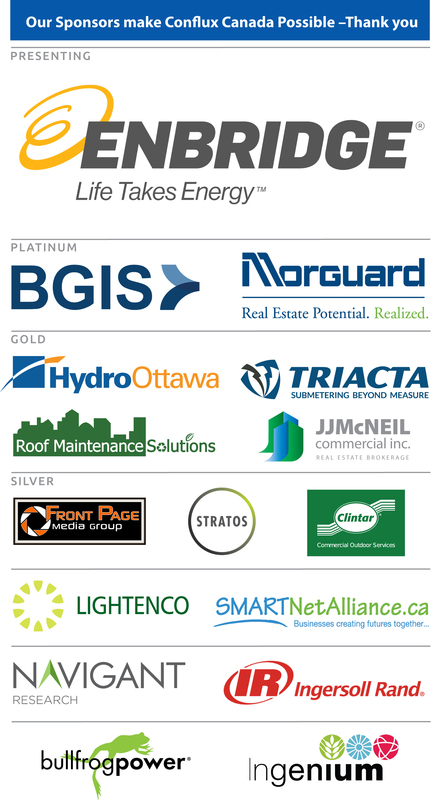 QUEST is the voice of the Smart Energy Communities Marketplace in Canada. Leading the operations of the organization, her primary role is to develop and implement the infrastructure, systems and human resources required for QUEST to grow and support the Smart Energy Communities marketplace. 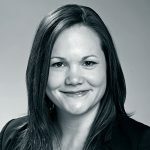 Ms. Leach has been with QUEST since January of 2009, having been seconded from the Canadian Gas Association for whom she worked for in communications since 2003. During that time Tonja acted as the secretariat for a coalition of 19 energy industry associations known as the Energy Dialogue Group, who came together to encourage the establishment of a national energy framework for Canada. Caitlin is the first CEO of MediaStyle. MediaStyle is a progressive public affairs agency that believes our work is about more than just the fiscal bottom line; we believe that the work we do can be a force for good. MediaStyle makes meaningful impact as a Certified B Corporation, meeting the highest standards of transparency, accountability, environmental and social performance. Caitlin uses her experience in communications, journalism and media relations to lead the team of communications innovators at MediaStyle. She is a leader in social media strategy and media relations. Caitlin’s work contributes to national conversations. During her time at MediaStyle, Caitlin has worked with organizations like the Truth and Reconciliation Commission of Canada, helping to craft messages to achieve the greatest impact. Caitlin has been active in social justice since her youth. 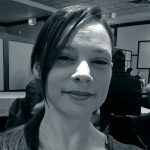 She uses her expertise to work for social good, she is a former Board member at Planned Parenthood Ottawa and is currently advising Mamawi:Together on their work teaching Ottawa’s youth about reconciliation. In 2017, Caitlin participated in the Governor General’s Canadian Leadership Conference. She was also named to Ottawa’s Top 40 Under 40. 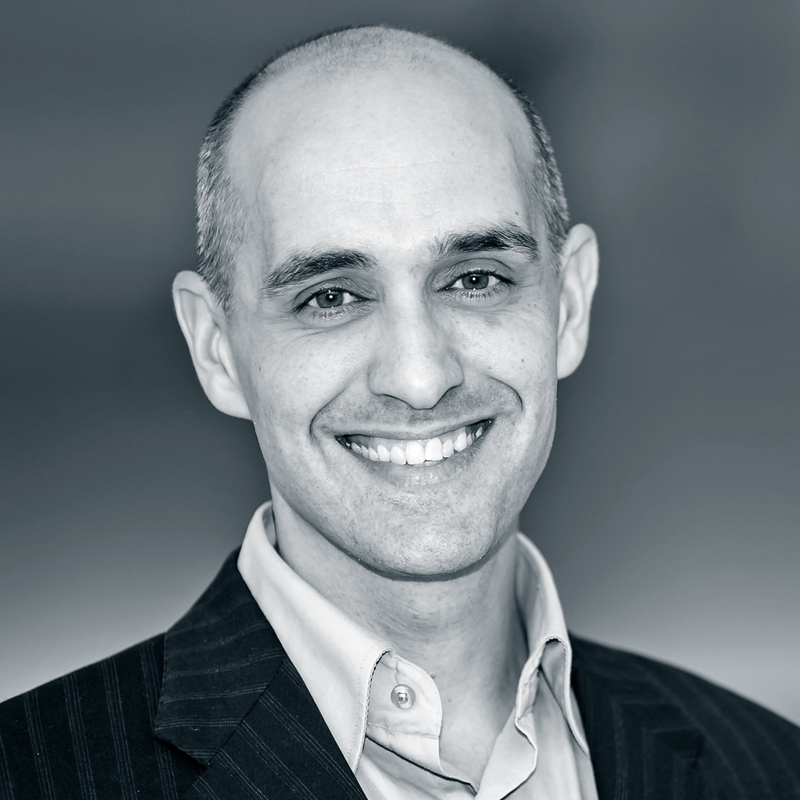 Raised in New Brunswick, Mike began his career as a lawyer in Toronto, left to become senior policy adviser to the federal Environment Minister, and then went on to hold a series of increasingly senior roles in the Government of Canada working at the intersection of the environment, economy and innovation. For example: he spearheaded a successful public-private initiative to strengthen the role of sustainability in investment decisions, partnering with financial leaders; he led a partnership with the Globe and Mail's Report on Business magazine to annually rank the sustainability of Canada's largest companies; and he was one of the principle architects of the Government's initiative to create Sector Sustainability Tables for mining, energy, chemicals and forestry sectors. Mike's skills as a manager and innovator earned him rapid promotion in government - most recently, leading a staff of 80 with a $10 million budget. Mike has long held a firm belief that 'green' and 'growth' can go hand in hand and a passion for making that happen. He brings passion and experience to his role at the helm of Smart Prosperity Institute. On June 6, 2011, Meg Beckel began her five-year appointment as President & CEO of the Canadian Museum of Nature. In December 2015, her appointment was extended another five years. Beckel leads a team of passionate and committed individuals dedicated to the museum’s vision to inspire understanding and respect for nature. 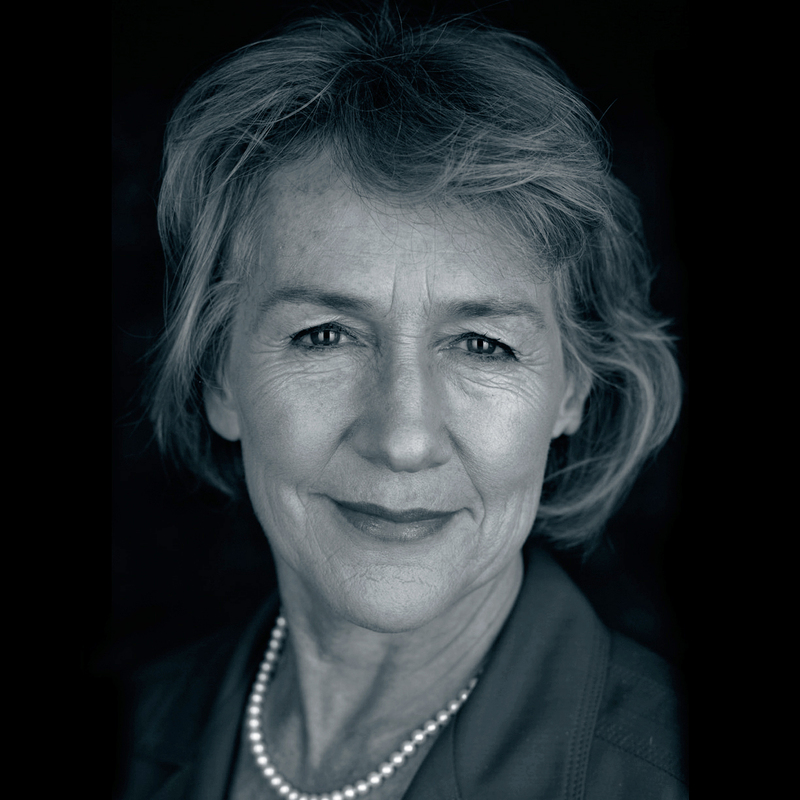 Prior to joining the Museum Meg was Vice-President, External Relations at the University of Waterloo for four years and Chief Operating Officer of the Royal Ontario Museum for nine years. 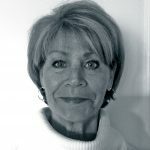 Beckel began her professional career at the Bank of Nova Scotia where she served as Officer in Charge of Operations and as Assistant Manager, Corporate Banking before moving to the National Ballet of Canada in 1986, where she began a career in fundraising and external relations in the arts and education sector. 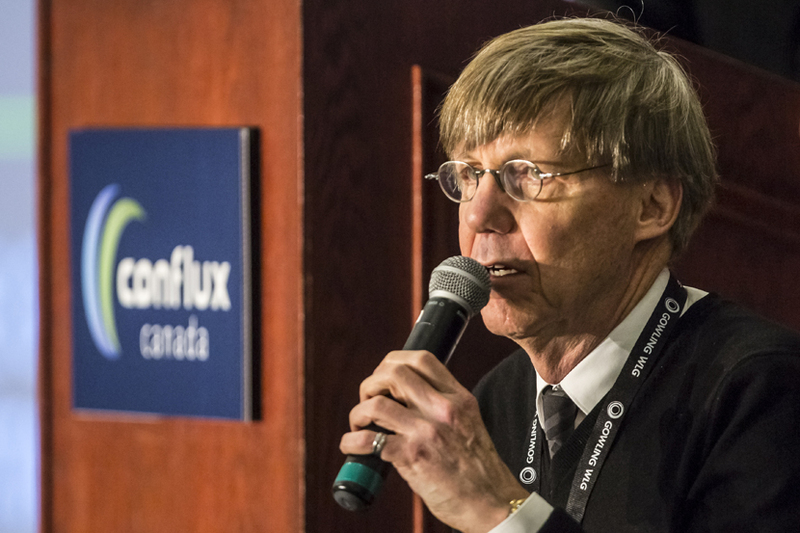 Beckel currently serves as Chair of TerraTundra Foundation and Chair of Canada’s National Committee for IUCN (International Union for the Conservation of Nature). 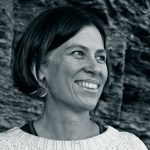 She also serves as a Director of the Digital Opportunity Trust Board, member of the Arctic 8 Natural History Museums, member of the Advisory Board for the Ottawa CEO Breakfast Club, and of the Advisory Board of Ottawa Riverkeeper. 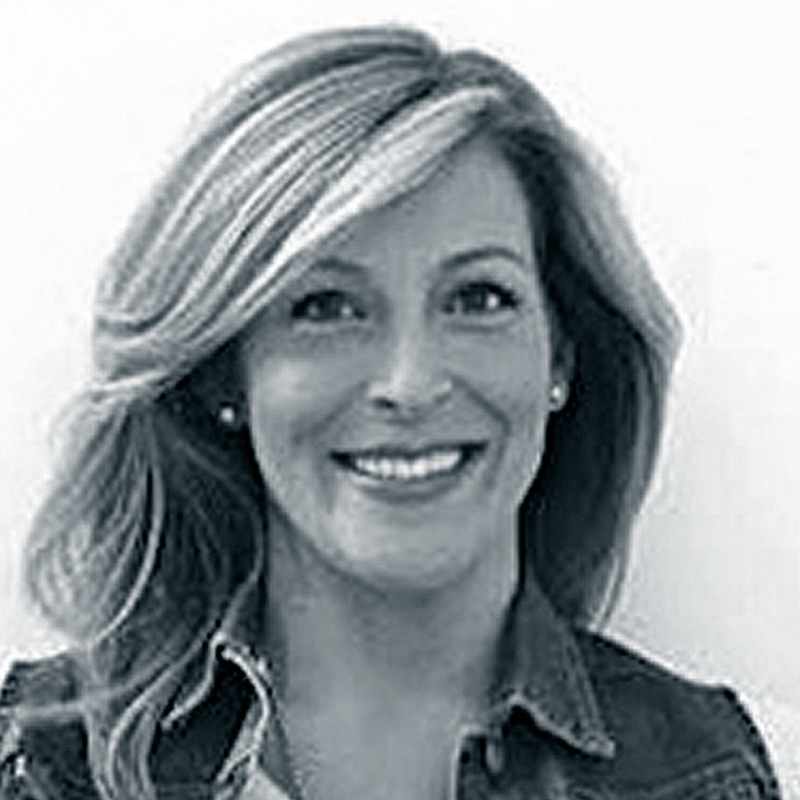 Jenny Tremblay is the Senior Director at the Smart Cities Challenge, a Government of Canada initiative encouraging communities to adopt a smart cities approach to improve the lives of their residents through innovation, data and connected technology. 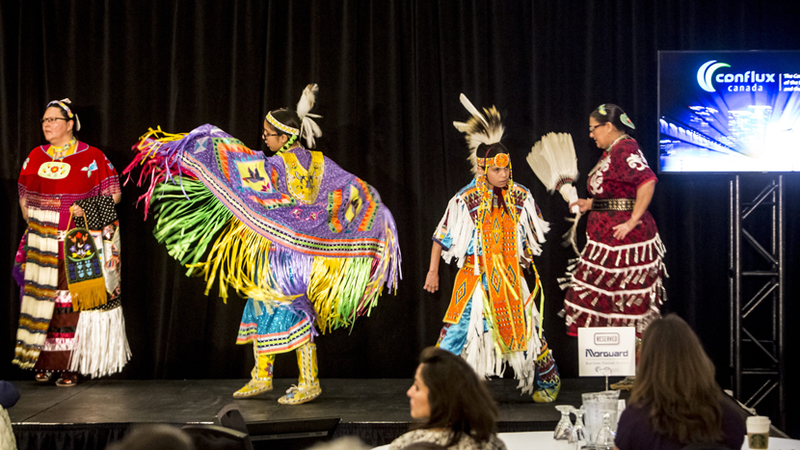 Prior to joining the Smart Cities team, she held a number of positions in the Government of Canada relating to social and economic policy and program development, Indigenous engagement and policy innovation. Dave Schellenberg has been talking tech on the radio since 1994. Over the years he has covered the rise of the Internet, high definition televisions and the evolution of video games. His segments cover both the technology and the impact of it on economics, politics and the way that we communicate. Tune in to hear the latest in tech news and information every weekday morning just after 7am. Bryce Conrad has served as President and Chief Executive Officer of Hydro Ottawa since 2011. 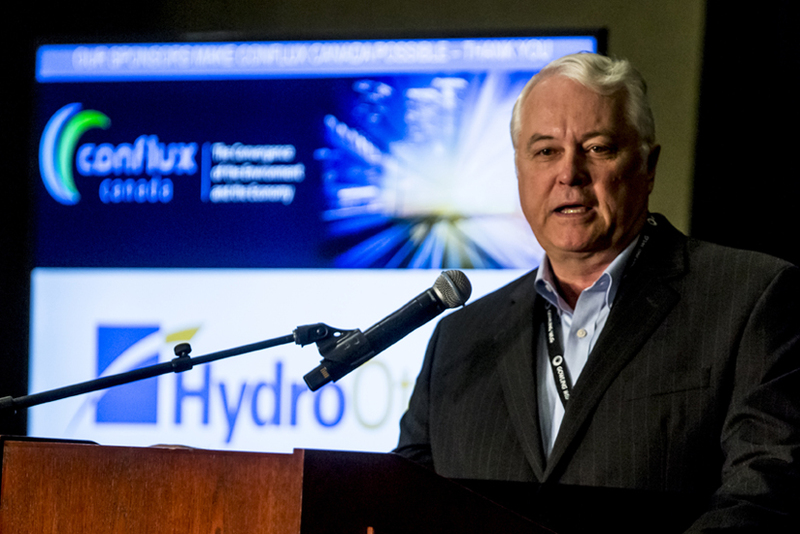 Under his leadership, Hydro Ottawa has become one of the most profitable, innovative and customer-oriented utilities in Canada, regularly winning awards and accolades for customer service and innovation. In addition, Hydro Ottawa has tripled its renewable generation, making it the largest municipally owned generator of clean, green energy in Ontario. Prior to joining Hydro Ottawa, Bryce served as Assistant Deputy Minister - Program Operations at Infrastructure Canada, where he managed the implementation of the $4 billion Infrastructure Stimulus Fund, overseeing the selection and management of 4,000 projects that created more than $10 billion in economic activity. He was also responsible for the oversight and administration of the Building Canada Fund, the Green Infrastructure Fund and the Gas Tax agreements with provinces and municipalities. An active community champion, Bryce sits on the Board of Directors for The Ottawa Hospital Foundation, and has served on the Board of Directors for United Way/Centraide Ottawa since 2014. Bryce has extensive governance experience, serving on the Board of Directors for industry associations including the Canadian Electricity Association, Ontario Energy Association, Institute on Governance, Electricity Distributors Association and The MEARIE Group. 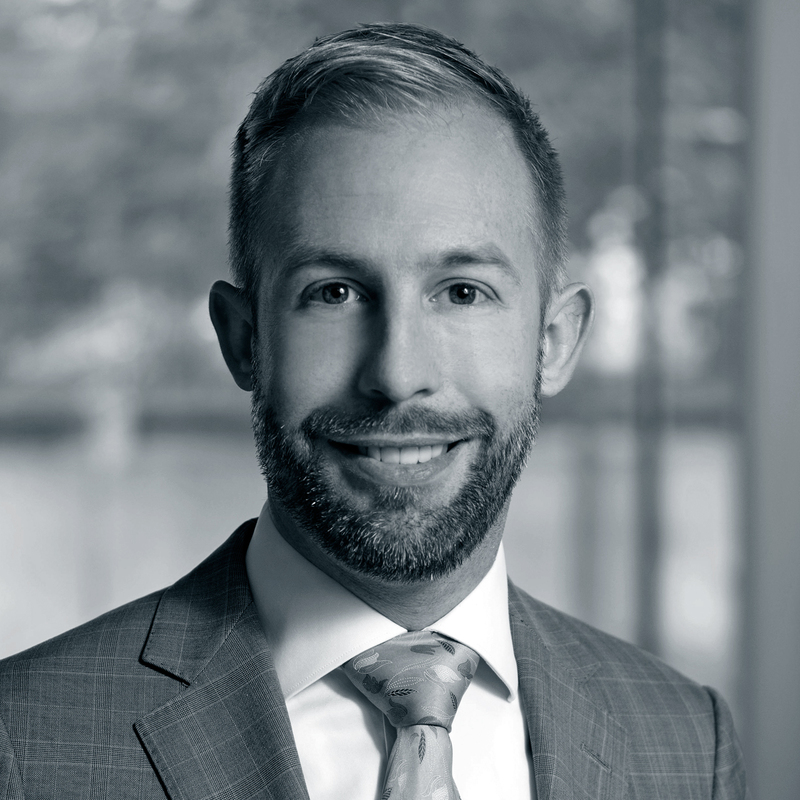 Bryce is fluently bilingual, and holds a Bachelor of Arts (Honours) from Queen's University, a Master of Public Administration from Carleton University, and a Master of Business Administration from the University of Ottawa. Colleen is driven by a passion for sales - and results. 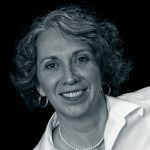 A successful sales leader for over 20 years, she understands the particular challenges of selling in today's crowded, confusing market, and that business leaders can no longer rely on approaches to sales based on techniques from decades ago—or even last year. Colleen works with business and sales leaders to synergize the sales DNA of the organization to seize market opportunities. Whether designing strategy to target a new market or working with a team to improve its productivity, Colleen's results have attracted clients such as Merck, Abbott, Merrill Lynch, Royal Bank, Dow, Adecco, Trend Micro, NCR, Chevron, and thousands of other global organizations. 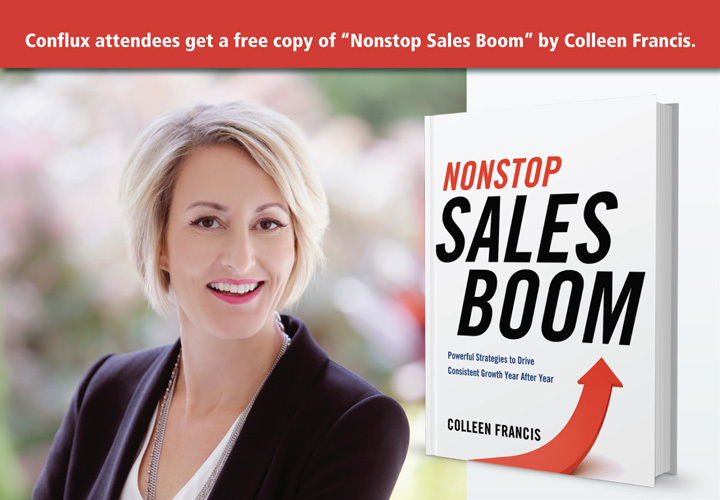 Time and time again, clients who work with Colleen note her frank, no-nonsense approach to accelerate sales while reducing effort and increasing profits. Colleen's practical strategies deliver immediate and lasting results. 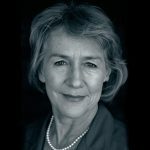 Colleen is an award-winning writer and consultant, bestselling author, and member of the Speaking Hall of Fame. 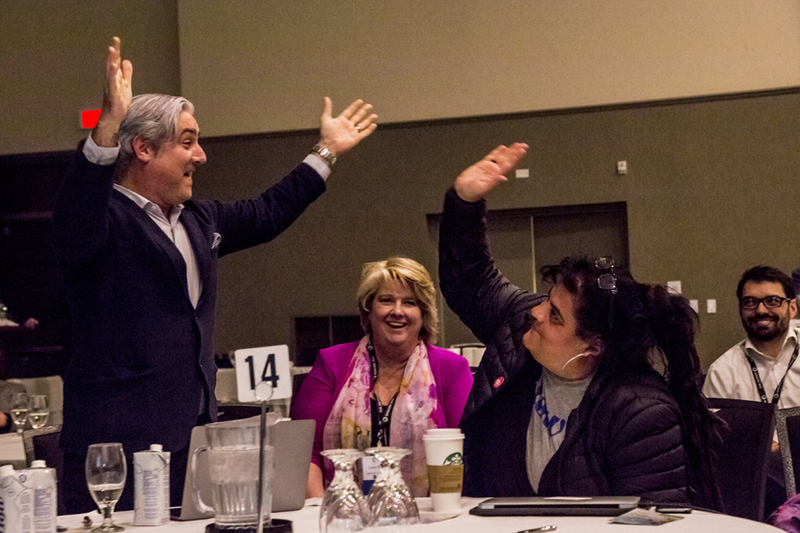 Recognized annually as the thought leader on the future of selling by leading publications worldwide, Sales and Marketing Magazine has also called Colleen and Engage Selling: one of the top 5 most effective sales training organizations in the market today! Sam Newman-Corrigall is the Director of Operations for Power Systems Technology Ltd. (Power Systems), an original equipment manufacturer (OEM) specializing in compact & energy efficient electrical distribution products & solutions and operating in Ottawa since 1999. One of the main focuses for Power Systems is on the reduction of overall impact and footprint of the industry as a whole and in the manufacturing processes of OEMs like themselves. With a decade of experience in this field Sam Newman-Corrigall, along with the team at Power Systems, is able to provide a view of where we have been, how far we have come and where we can go from here. Pamela has lived and worked in Ottawa for more than 33 years, principally in the area of sustainable development. She operated her own government relations practice and was engaged by large engaged by large enterprises to help them navigate the federal and provincial public policy and program environment. 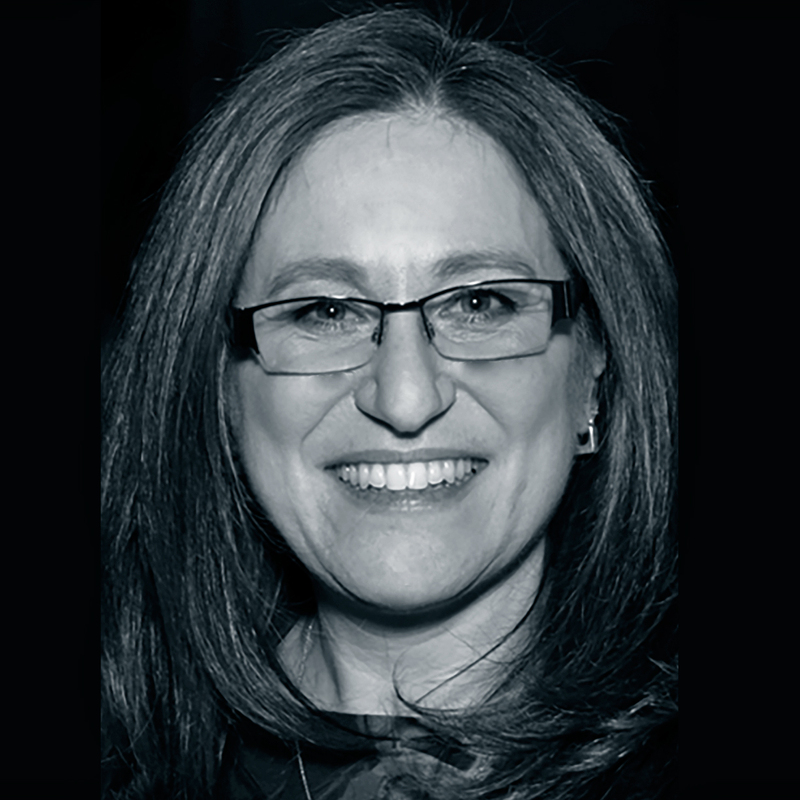 She has worked as Special Advisor to the CEO of Sustainable Development Technology Canada and acquired a deep understanding of the challenges faced by SMEs, which ultimately led to a shift in her government relations practice. 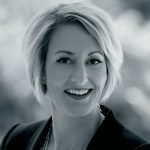 Over the past 14 years, she has helped SME’s understand and access government programs which support talent acquisition, de-risk technology development and demonstration, develop global market opportunities and create strategic partnerships. 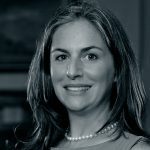 In December 2017, she joined her client Rockport Networks as Executive Director of Public Affairs. Heather Ward is co-founder of Tandem Technical and an innovator who loves connecting people and ideas for positive impact. As a youth entrepreneur, she founded one of Canada's first independent Public Relations firms and has worked and collaborated with a diverse group of corporate, public sector and nonprofit organizations and stakeholders for more than a decade. 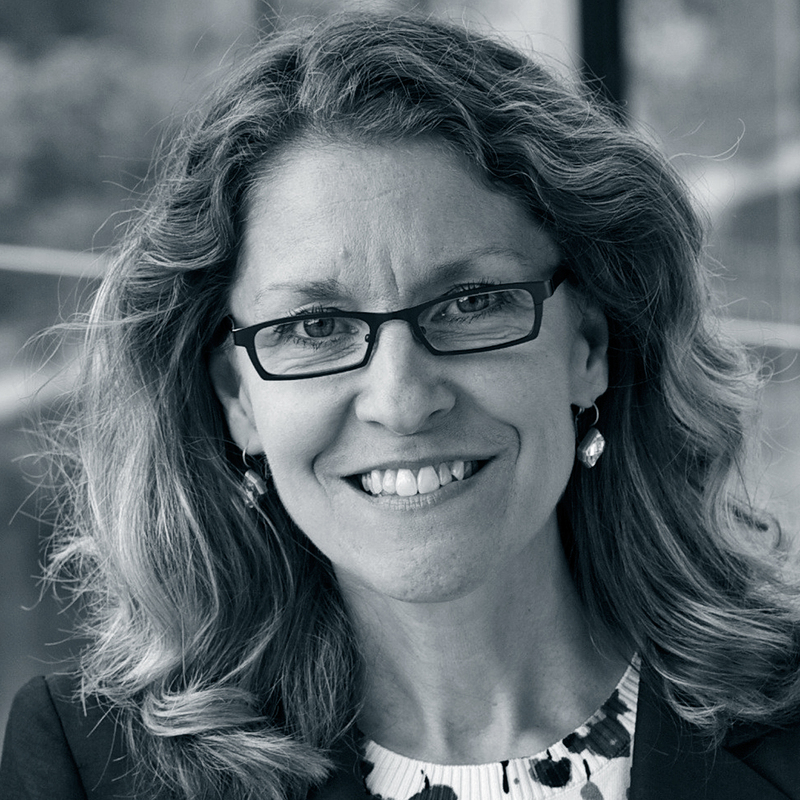 In 2017, Heather joined Tandem's leadership team with a mission to rapidly commercialize breakthrough Carbon Recycling technology that provides a profitable solution to reduce greenhouse gas emissions. Heather is committed to using business as a force for good to help mitigate climate change, while building value in the growing low carbon economy. David Teichroeb - Business Development, Low-Carbon Energy Solutions & Strategy, Enbridge Gas Distribution Inc. The objective of being recognized as a “leader in sustainability”, has become significantly more popular over the last decade, and has provided organizations an opportunity to differentiate themselves in their respective industries. The idea of not just what product or service your company offers, but how you manufacture and what processes you use to deliver them, are becoming more important to your customers. More people today want to understand the impact of your operations on our environment and society at large, and their decisions will be influenced accordingly. Gord will outline what BGIS’ approach has been to building a corporate brand that embodies sustainable operating practices. Canada has set ambitious targets for greenhouse gas emissions reduction which can only be met through concerted efforts in the building sector as one of the largest contributors to climate change. As we move toward a carbon-constrained future, the conversation in building design and retrofit must shift from ‘energy efficiency’ to ‘carbon’ to ensure we arrive at the best solutions. The CaGBC’s new Zero Carbon Building Standard uses carbon as the key metric in assessing building performance and combines this measure with enhanced envelope performance and renewable energy options. 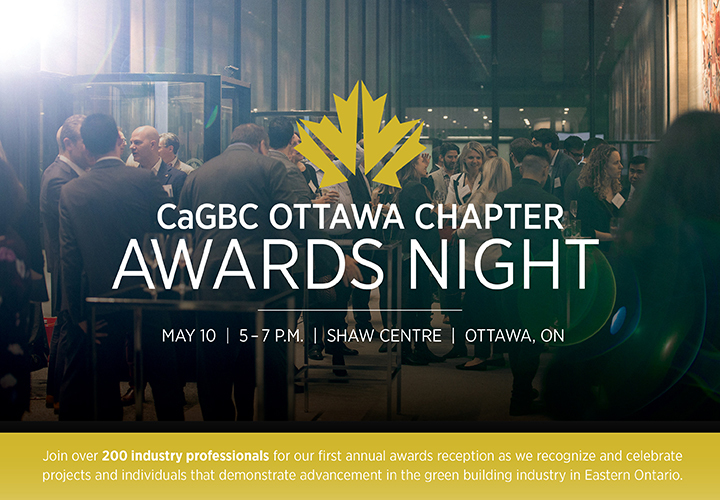 Zero Carbon represents the next cycle of innovation in green building continuing Canada’s global leadership in taking tangible steps in reducing carbon emissions from buildings. You want climate solutions? You'll need more regulations! For decades, sustainability advocates of all stripes, in the smallest rural municipalities, in the largest multinational corporations and everywhere in between, have been paving the path to en ecological approach to economic development. These champions led initiatives in energy efficiency, cycle-to-work, public transit, organic agriculture and many other themes, often demonstrating the economic sense of these approaches. Despite these successes, Canada missed its Rio, Kyoto and Copenhagen targets and is on its way to missing the Paris target. The reality is that the regulatory framework disadvantages these solutions compared to conventional approaches to energy use and business in general. The author is the founder of Quebec's most influential and well know environmental group and the creator of the Center on sustainable development, a lead platinum certified office and meeting center. Using Norway's approach to electric vehicles, he will demonstrate why we need stronger policies in Canada at all levels of government to help us meet our international targets an reduce other pollution in Canada. The rules have changed. The customers are different. How they buy is different. What they value is different. And even economy in which you sell to them is different. Buyers have embraced these changes quickly and dramatically. But far too many sellers remain stuck in the past using outdated tactics, canned pitches, and manipulative closing tricks that do nothing but stagnate sales results. Creating a Sustainable Nonstop Sales Boom requires a deep look inside the mind of today's customer. Price sensitive, value oriented, strapped for time, mobile powered, yet craving connection, they are overwhelmed by choice, desperate to differentiate and dependent on trusted others for help with who they do business with. When a business exhibits environmental and community leadership, it can experience many positive benefits, such as mitigation of risk, improved community and stakeholder relations, attraction and retention of top talent, and a culture of innovation. But this doesn’t always translate to the bottom line. Can organizations increase revenue and profitability without letting go of their core values and principles? It might be time to look at your brand. Is it a reflection of your business strategy, your culture and your go-to-market plans? Is it serving your business or detracting? Does it help attract the customers, talent and partners that you want to grow your business? Do you even have a defined brand? Join us for an interactive discussion, where we will explore how a brand with purpose can deliver a winning trifecta: a better world, better communities and a better business. The Pan-Canadian Framework on Clean Growth and Climate Change (PCF) was developed in partnership with provinces and territories and through broad consultations with Canadians, key experts and industry stakeholders. 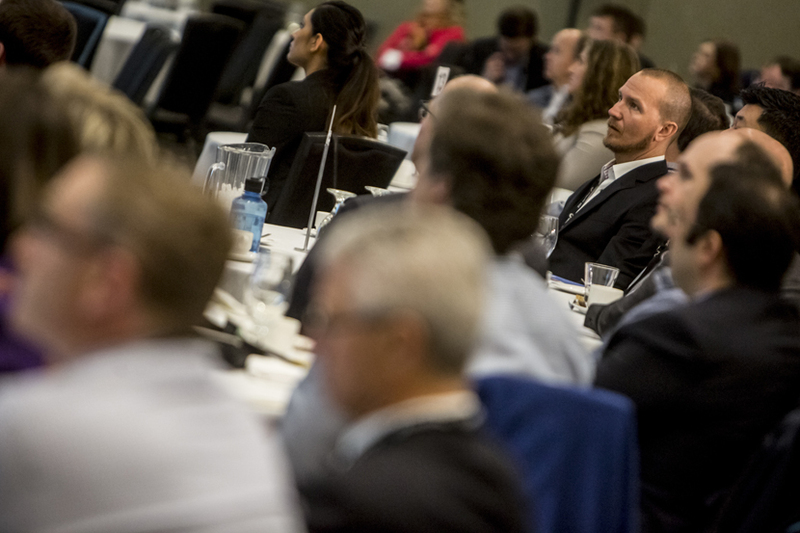 Under the PCF, the Government of Canada is working with provinces, territories and industry on energy code development, data sharing, research and development, and market transformation strategies for the buildings sector. 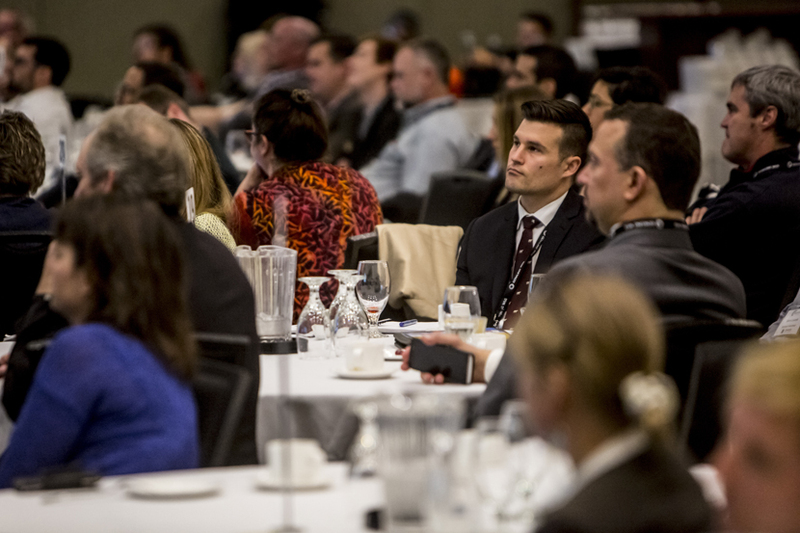 This session will outline the Government of Canada’s work on increasing energy efficiency for homes and buildings, and commitments to lead by example, advancing Canada’s low carbon future and helping realize domestic and international climate change goals. Accounting for nearly 60 percent of energy end-use and over half of all greenhouse gas (GHG) emissions across Canada, Canadian communities along with their utilities, builders and developers, and innovative product service suppliers are working hard to change those statistics. This panel will uncover how leading Smart Energy Communities are working together to lead the transition to a low carbon economy at the local level. 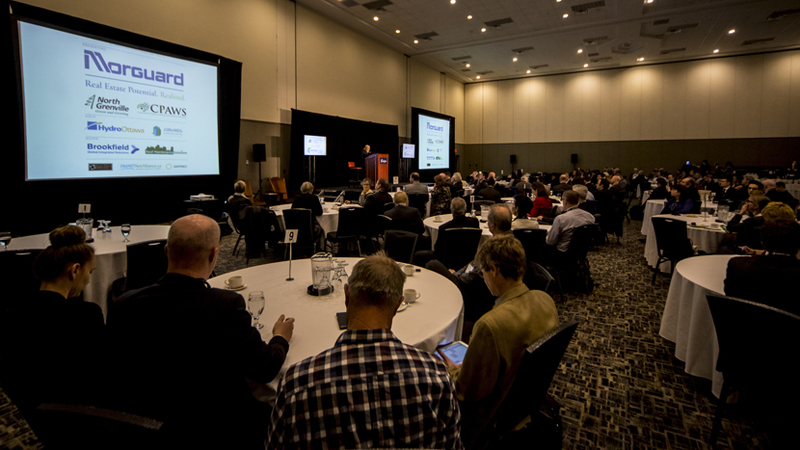 The panel will also offer a preview into the Smart Energy Communities Scorecard which is under development as the first tool of its kind to evaluate and benchmark the progress of Smart Energy Communities in Canada. work with communities to effect real change? This panel offers diverse voices with expertise in the fields of energy, transportation, and infrastructure. The demand for smart Sustainable Cities is growing within Canadian communities. Market forces, policy directions and citizen demand push decision-makers to plan for this new world. A new world that includes Urban Energy Transformation, Connected Electric Vehicles, Energy Efficient Buildings, and Smart Infrastructure. Data derived from these technologies will drive efficiencies benefiting all areas within our communities such as; healthcare, education and the poor. How can your community become a leader? 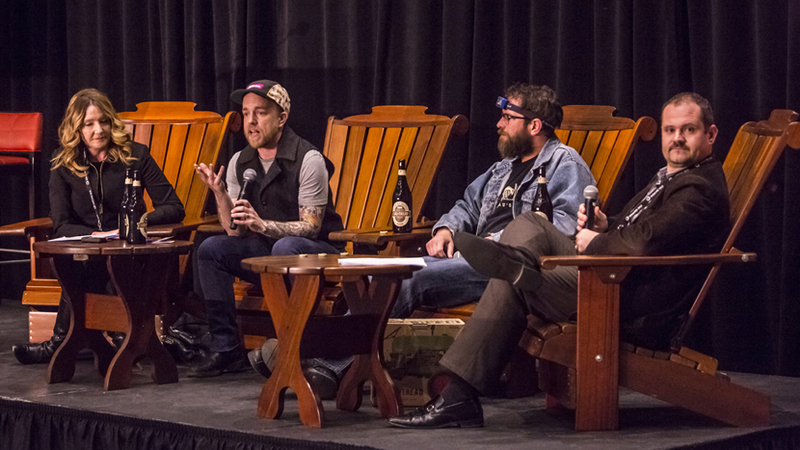 Today’s sustainability value proposition is becoming increasingly more nuanced. We are observing a growing link between leading sustainability practices and higher tenant satisfaction, lower energy and operation costs, and thus stronger overall performance. We also look at the buildings that shape our communities as part of a living ecosystem whose role is central to addressing climate change challenges and the demands society expects from the built environments. This session will overview the corporate sustainability road map and how to further integrate environmental, social and governance (ESG) factors into strategy. It’s no secret that employees and leaders see the importance of purpose in business. What does it really mean to bring purpose to life for employees, and why does it matter for the business? In a time of heightened stakeholder expectations, business leaders are rightly concerned with how purpose can boost innovation and brand value—for them, the value lies in illuminating purpose on the commercial side of the business. But it should be much deeper than that. Join James Temple, PwC Canada's Chief Corporate Responsibility Officer for a conversation about how leaders can approach purpose more holistically to help drive organizational sustainability and value creation for leaders, shareholders and the community. Many equate green buildings with the newest, most dazzling towers rising across our country, but few consider if they perform as promised. This is because green building designers overwhelmingly neglect to consider the role of building operators. In other words, buildings are not static entities with fixed environmental profiles. Rather, they are highly complex, IT-driven mini-ecosystems, where operating decisions affect GHG emissions, water use intensity and indoor air quality far more than architects’ plans. But new or old, big or small, gorgeous or ugly, certifying the environmental performance of existing buildings is always the best way to drive sustainability in commercial real estate. Moreover, since the number of existing buildings always far exceeds those being built, improving their performance even just a little has a far greater benefit. 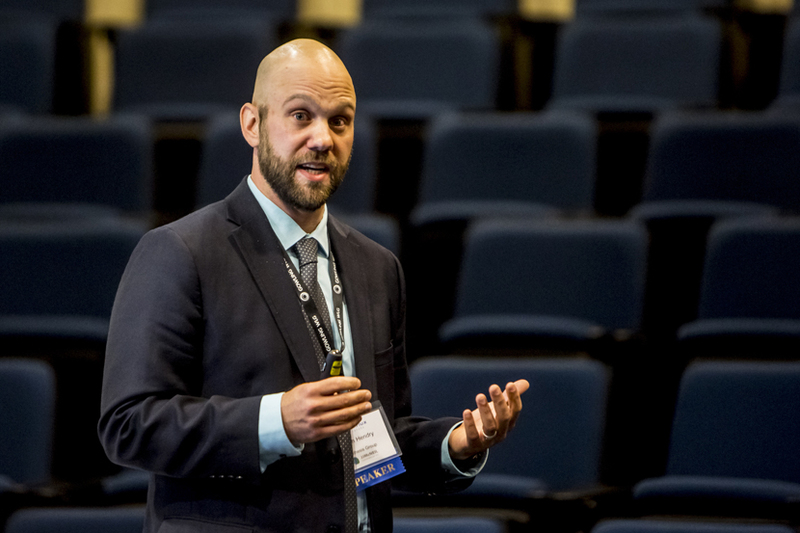 We all must recognize the opportunity sitting right before our eyes: certifying existing building performance via BOMA BEST has a massive impact on sustainable buildings. This session explains how. At Ottawa Riverkeeper we believe our Ottawa River could become the world’s cleanest capital river, sustaining healthy and resilient communities. However, this won’t happen without innovation and sustainability that is practiced at the individual, community and corporate scales. With a diverse and growing network of sustainability champions in our watershed, how can we measure our collective impact over time and relate it back to the things that we value like swimmable, drinkable and fishable waters? Join Meredith Brown, your Ottawa Riverkeeper to learn how watershed health relates to your sustainability efforts and how you can become a water champion. There are considerable economic risks for companies who fail to reduce their environmental footprint including rising energy costs, the impact of severe weather events as well as the long-term effects of harmful greenhouse gas emissions. This presents a significant opportunity for cleantech companies looking to take advantage of a growing appetite for solutions. The challenge is to build and grow sustainable companies that can compete globally. Companies need the right talent to develop their solutions and an established pool of funds to support their transition from research and development to product and expansion. The panel will discuss the region’s cleantech ecosystem in terms of the maturity of companies, the opportunity for significant and sustained growth, and identify barriers to global expansion. Like anything else that matters to a company, what gets measured gets managed. Corporate greenhouse gas reduction targets are powerful performance indicators that allow an organization and its stakeholders to monitor and evaluate how it is meeting its sustainability commitments. Nearly half of all the 2016 Fortune 500 companies have established GHG reduction targets, energy efficiency goals and/or renewable energy commitments, thus benefiting from increased exposure, powerful reporting and more focused sustainability efforts. This panel discussion will discuss the why and how of target-setting with examples of local organizations who are already benefiting from moving toward their own targets. What is the business value of the “Social” element in the sustainability (ESG) equation? What is the relationship between social purpose and performance from a human capital development perspective? This relationship will be explored through the approach of Transformative Community InvolvementTM and how it is leading to business and social transformation. Quantitative and qualitative data will be presented including a recycling program case study from award-winning client SeaLand. Measured business, social, and environmental impact of the program will be shared together with examples of multi-sector partnership projects from 12 countries supporting 4 UN SDGs. The intention is to provoke thought about the role of decision makers as agents of change. THE POSITIVE EFFECT THAT CAP AND TRADE AND CARBON PRICING IS HAVING ON INNOVATION IN RENEWABLE ENERGY TECHNOLOGIES. Thank you to our Community Partners who help make Conflux Canada possible. market, Zero Carbon cannot be realistically achieved at the building level. “The Real Estate Market Experience is at a tipping point. 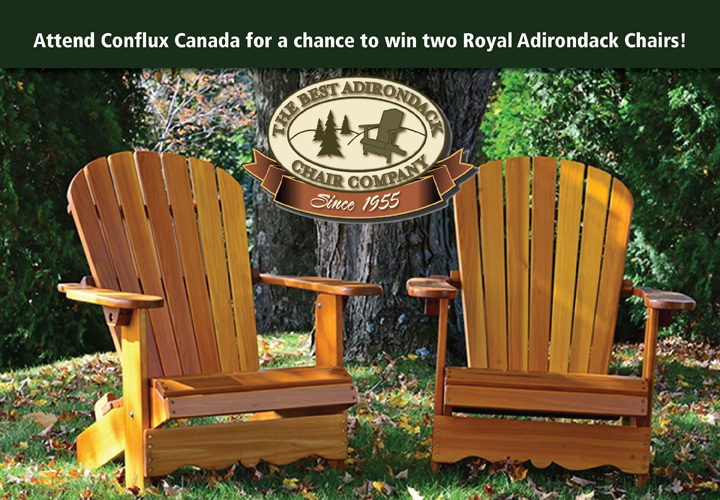 “I am a proud participant of Canada's green economy. “It's often easy to get lost in the day to day. there's already been a shift in my thinking about our current clients. 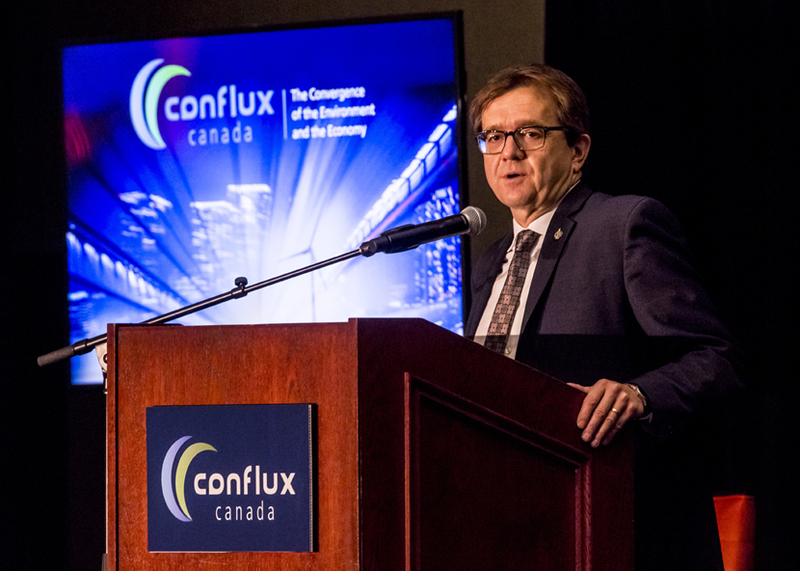 performed for the opening of Conflux Canada. "Branded" Table of 10 : $2,115. or Sponsorship please contact James McNeil. Kuleana is a uniquely Hawaiian value and practice which is loosely translated to mean “responsibility.” The word kuleana refers to a reciprocal relationship between the person who is responsible and the thing which they are responsible for. For example, Hawaiians have a kuleana to our land: to care for it and to respect it, and in return, our land has the kuleana to feed, shelter, and clothe us. Through this relationship we maintain balance within society and with our natural environment.